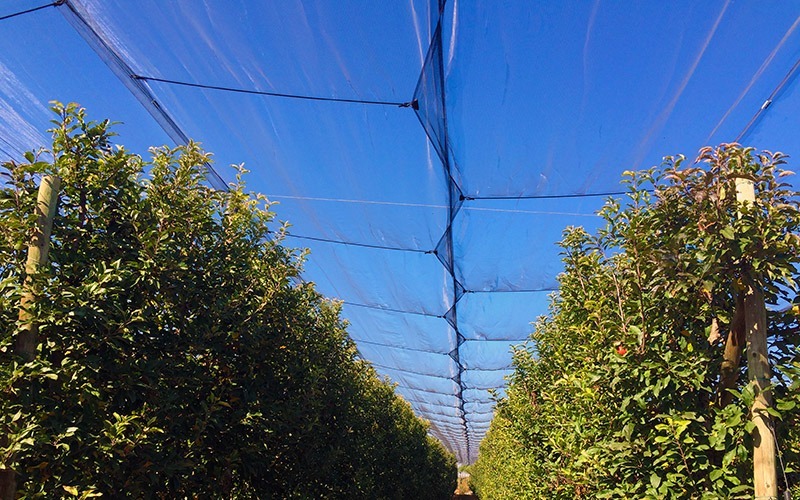 It is the agrotextil mainly used to protect fruit orchards against atmospheric phenomenas such as hail and heavy rainfalls. 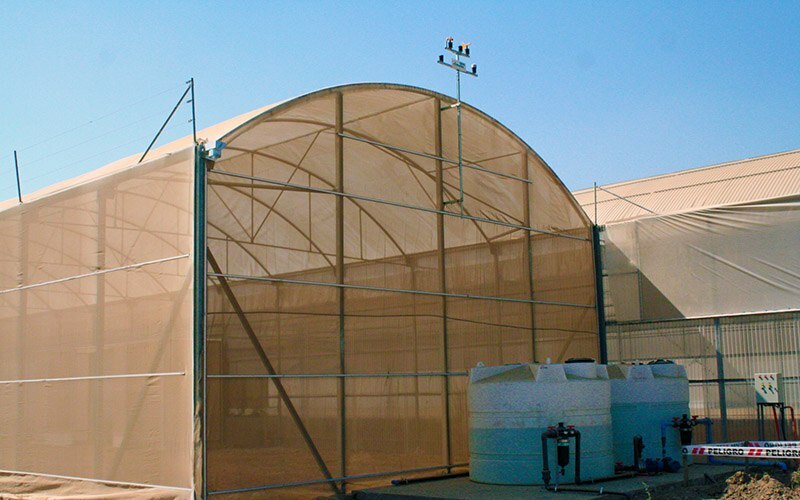 We manufacture two type of densities depending on the protection level required for the crop. 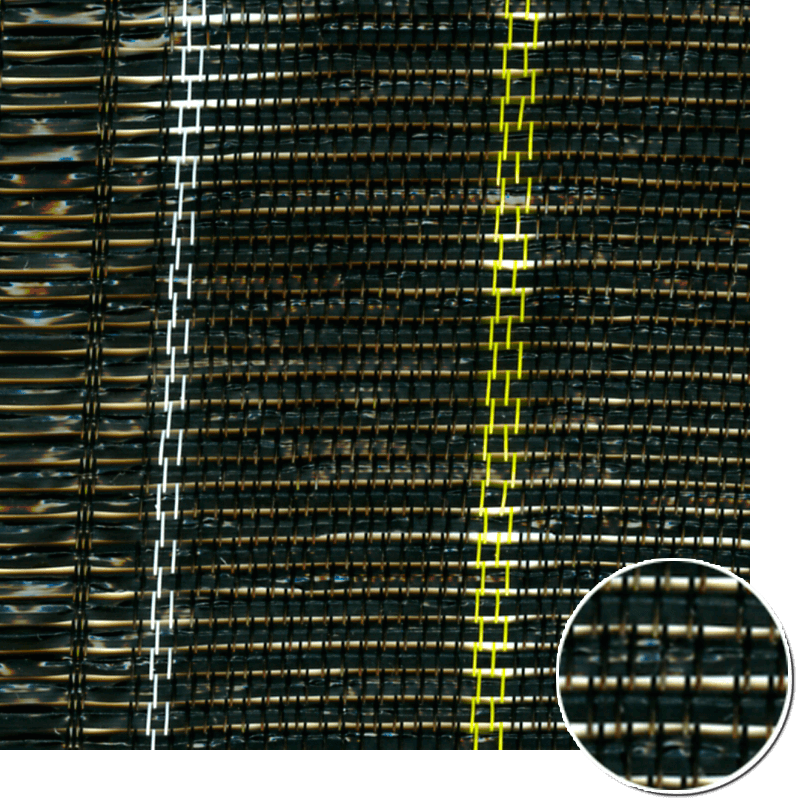 We may highlight 2,5×3 as well as 5×4. 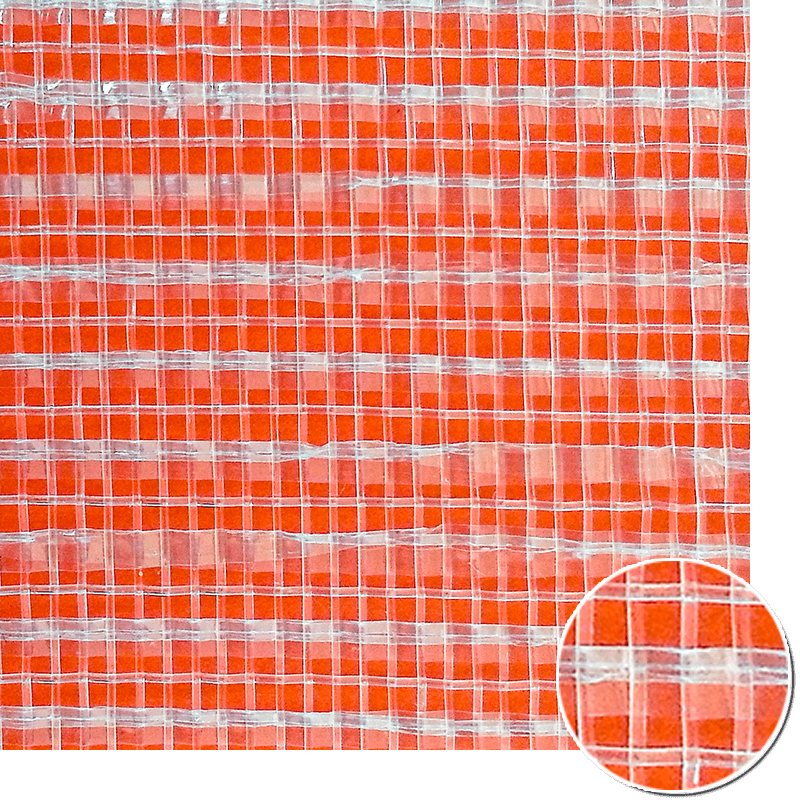 Protection against sunstroke, picking the appropiate colors. 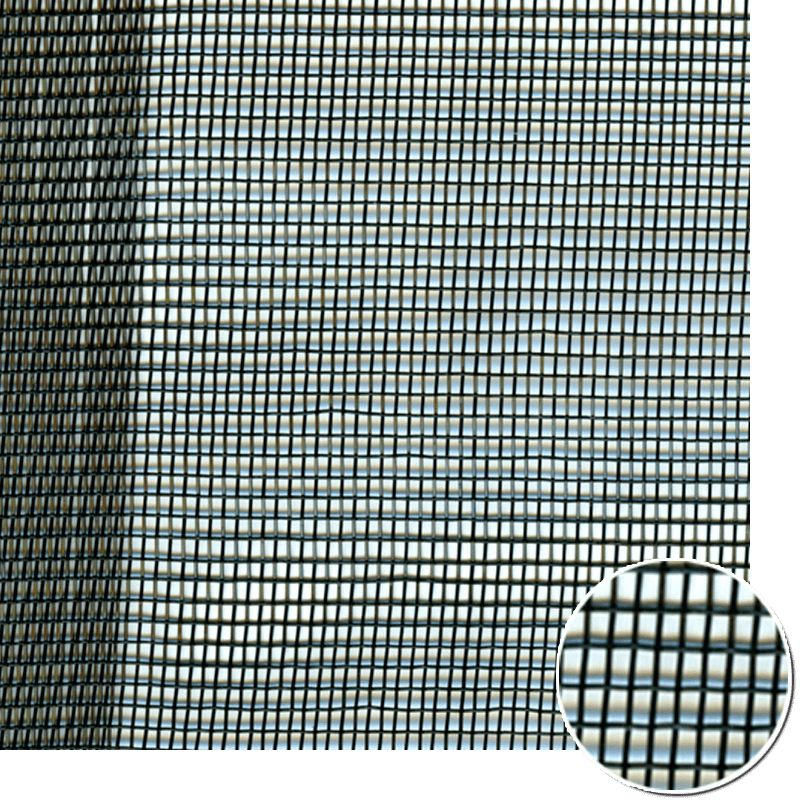 Shading functions in comparison to shade nets when the main purpose is to achieve more tearing resistance. 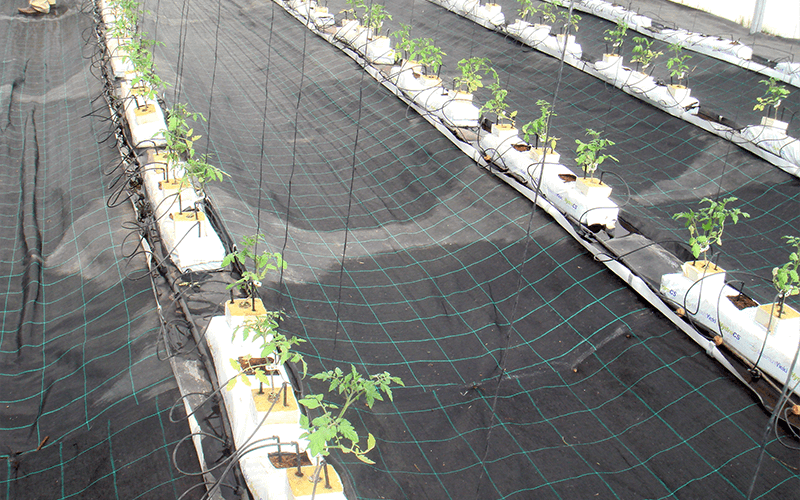 Decrease of stressful situations for the crops. 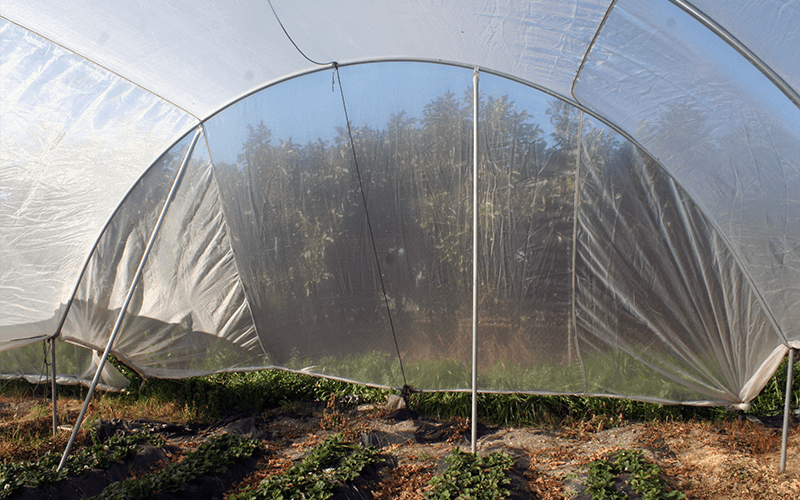 Insulation of the crops to avoid cross pollination. 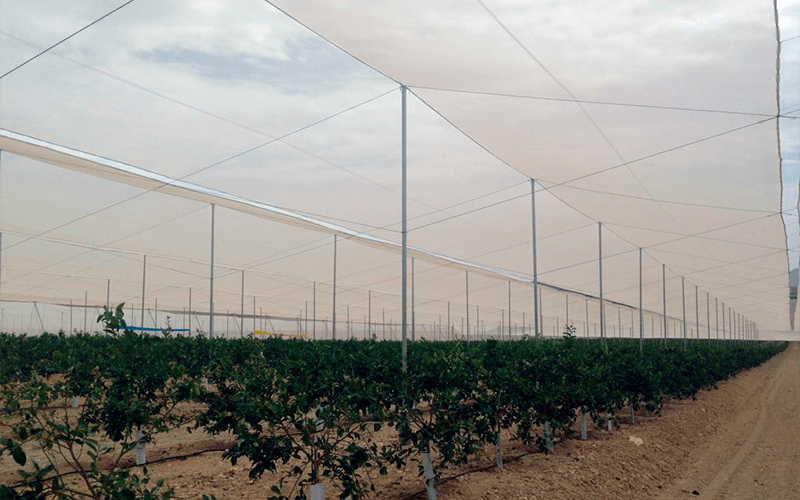 · Providing shading rates below 35% to the crops in all those crop protection systems which require a higher mechanical resistance (Rabitahail2,5 x 3). 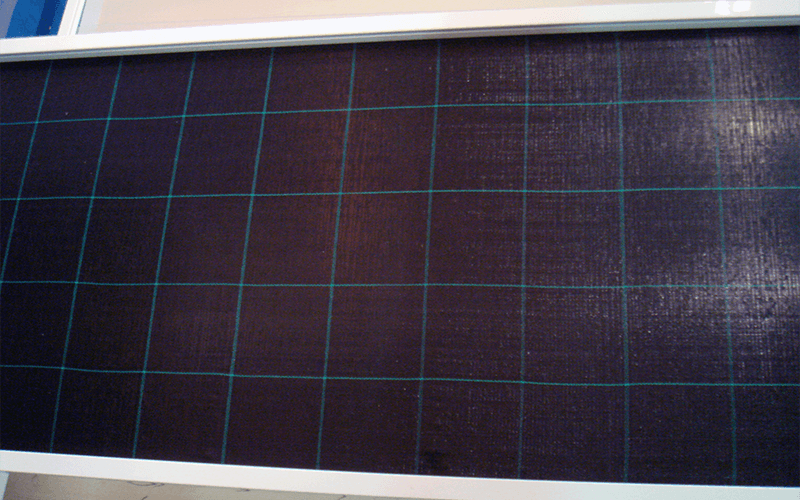 Taking into consideration the color of the monofilament, as well as the thicknes of them. 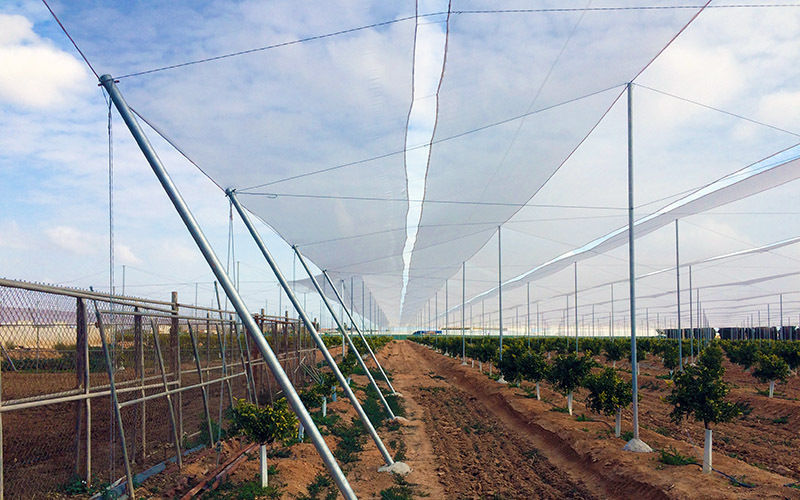 · Insulation against lepidoptera pests such as Carpocapsa all around the perimeter área of anti/hail systems , for fruit orchards en zonas perimetrales de instalaciones antigranizo de frutales (Rabitahail 5×4). 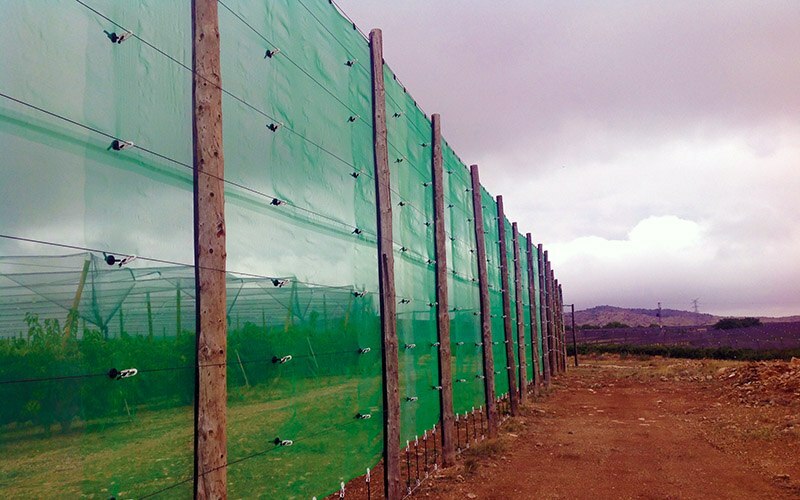 · Windbreak barriers in strongly windy areas (Rabitahail 5×4). 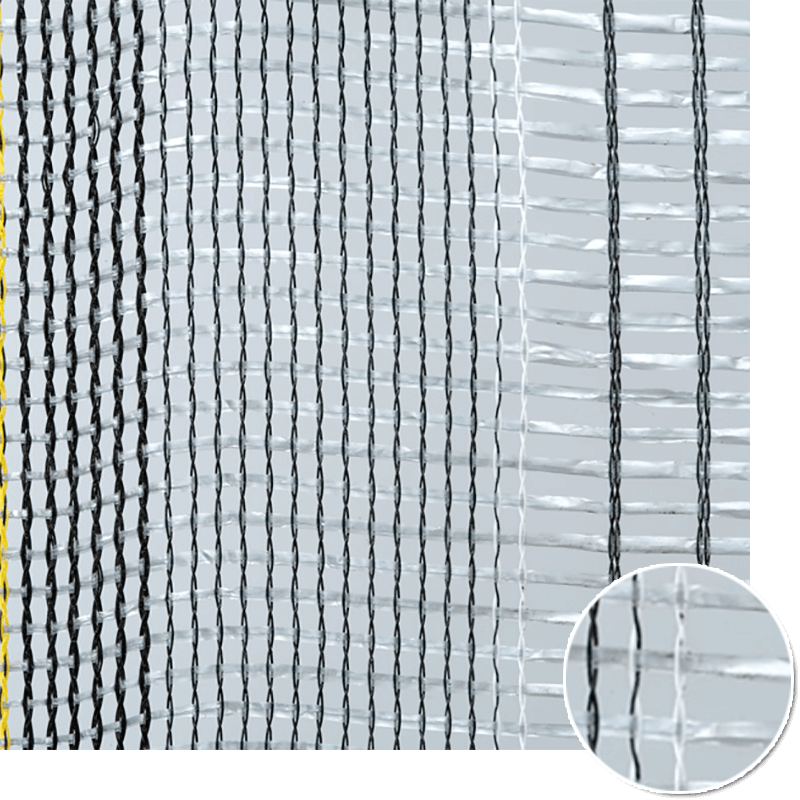 Crystal, white,green, black or greys. 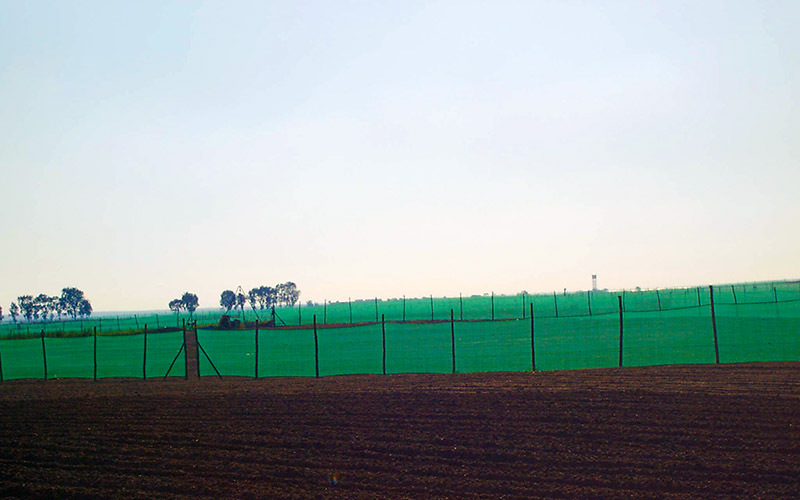 High technical resistance, containing different types of reinforcements displayed in a special position depending on the type of crop protection system. 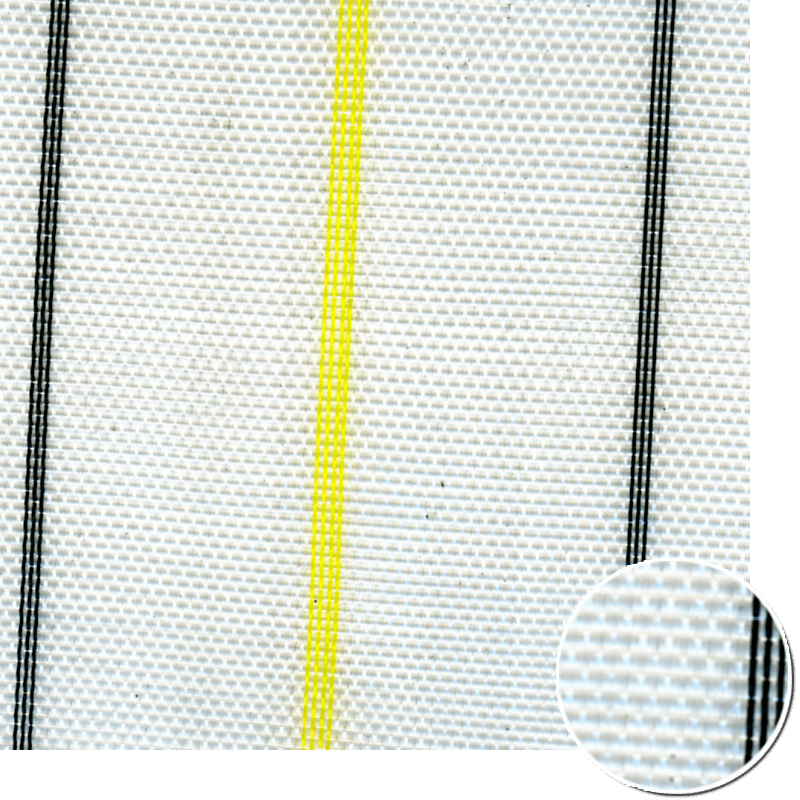 It is a technical fabric whose main aim is to provide protection for the crops against the insects. 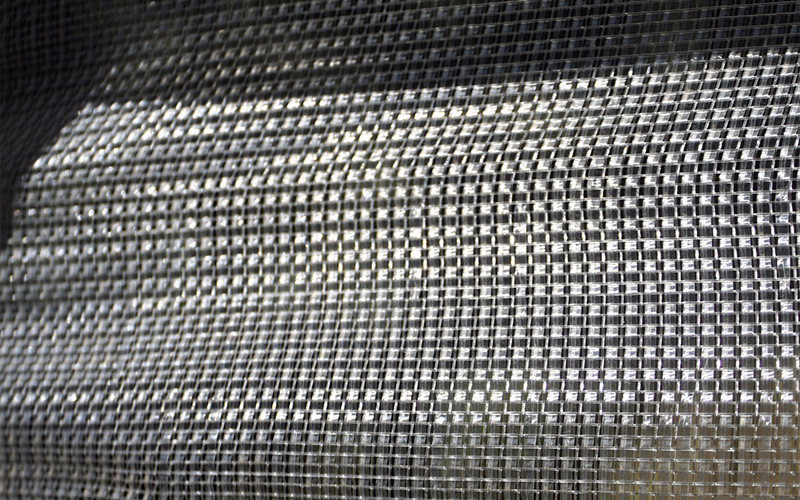 We have at your disposal a wide range of different pore sizes based on the density. 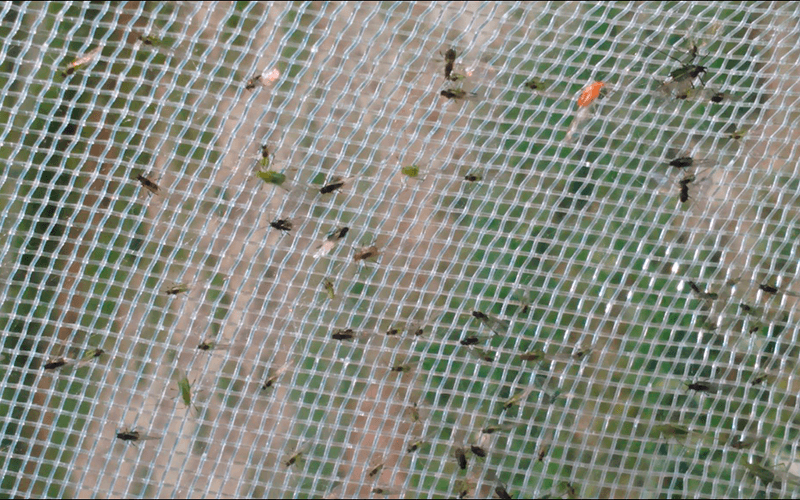 We have a wide range of different densities depending on the type of insect we would like to control. 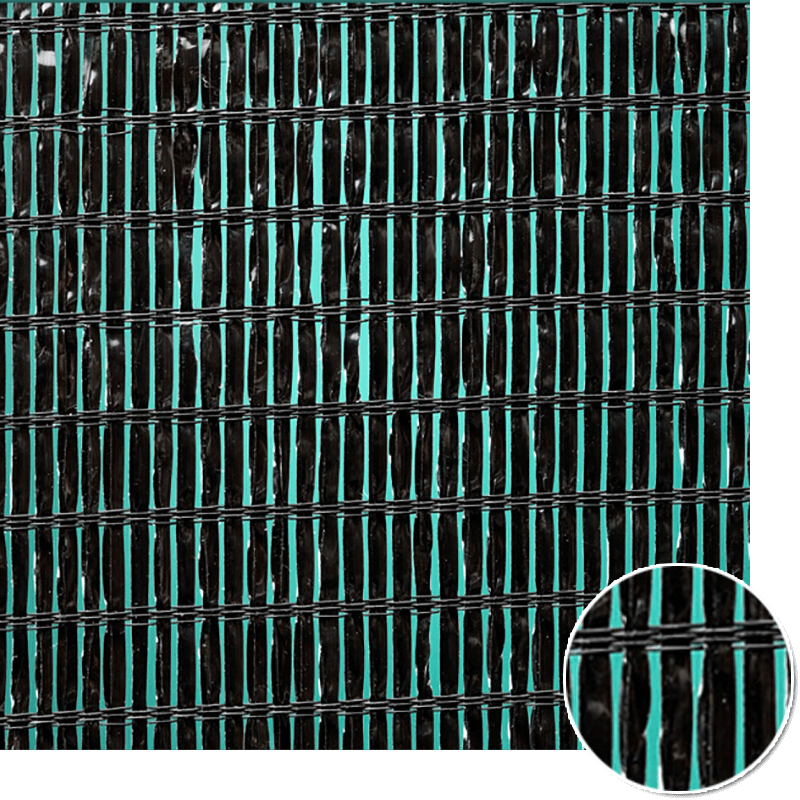 Therefore, the pore size would be different depending on the insultion level we desire for our crops. 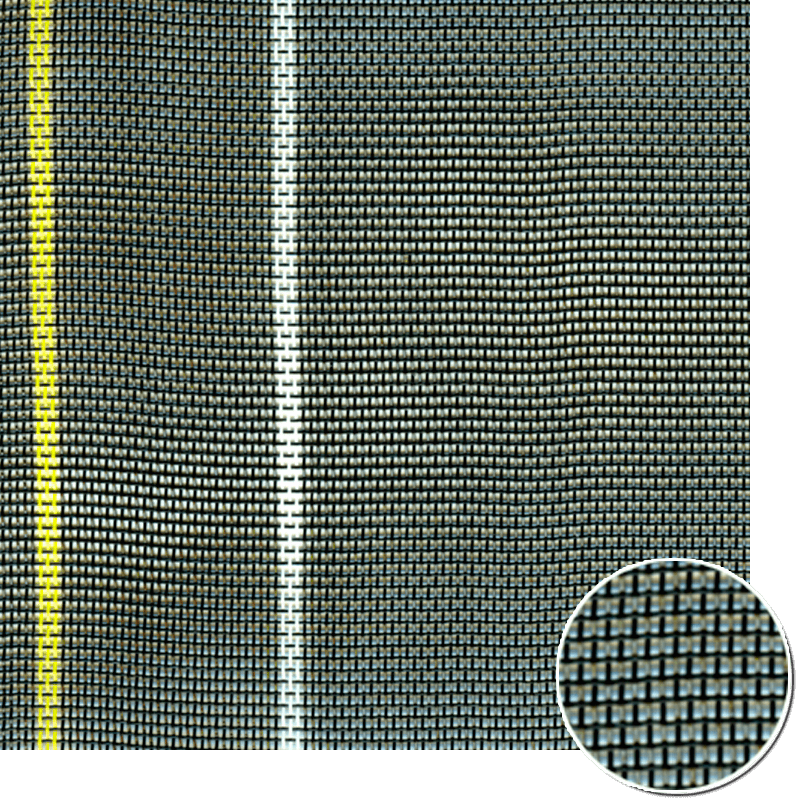 WIDTH: Standard rolls 3,4 and 5 meters wide. 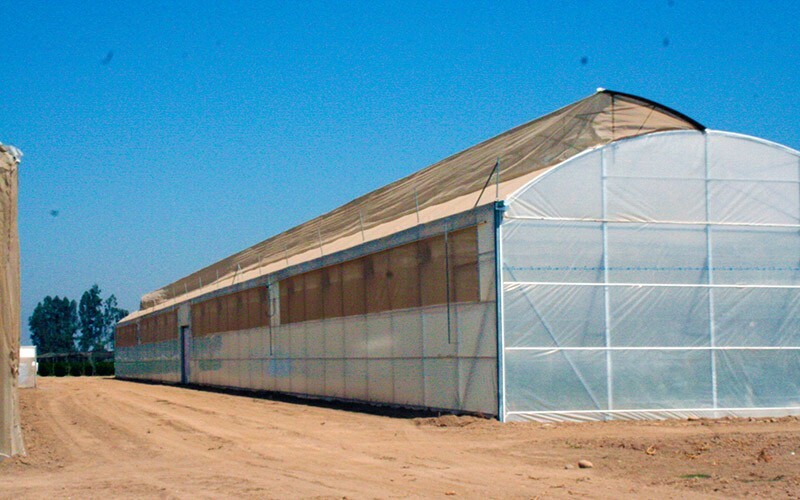 It is the agrotextil mainly used to provide insulation to the different horticultural cropsEs el agrotextil . 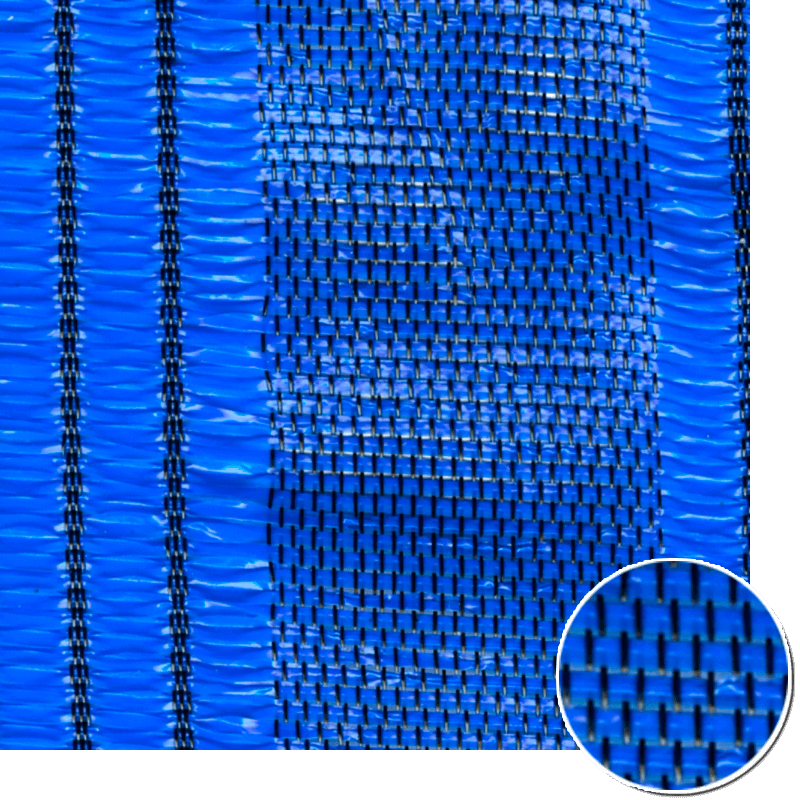 It is a technical fabric used to provide a full covering system for nethouses. 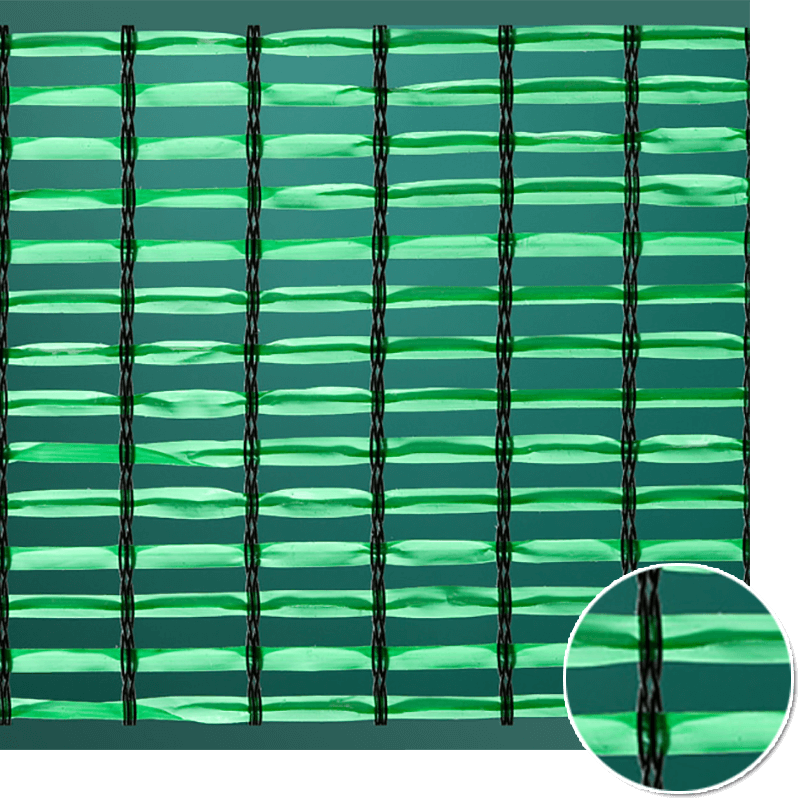 Likewise, it can be used to be positioned on the sidewalls, front sides and cenital windows of high tech greenhouses. 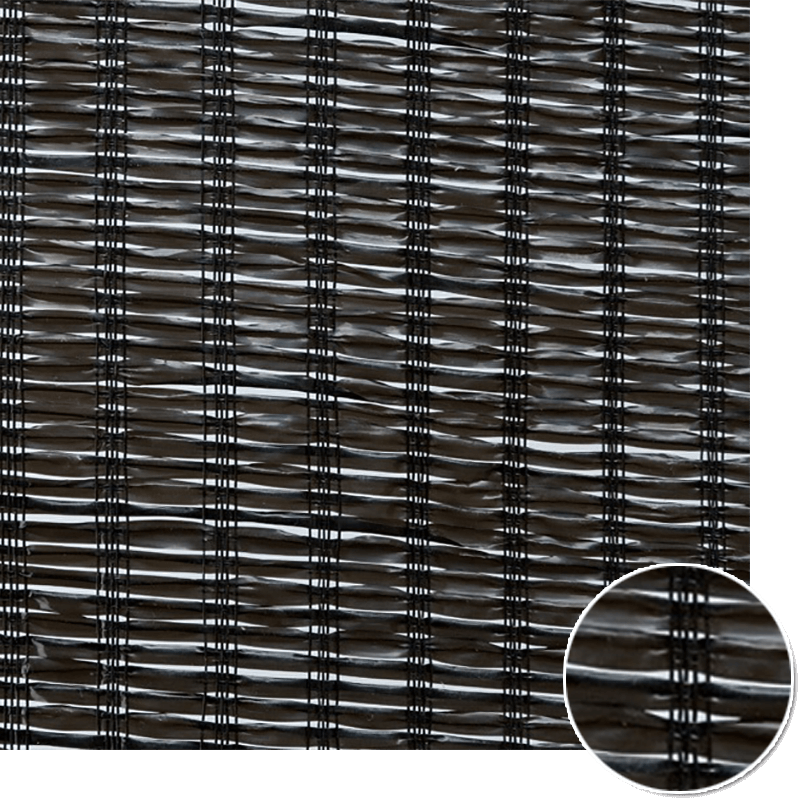 In addition to this it admits its usage in darker colors to provide heavy duty shading systems in coparison the the usual shading net. 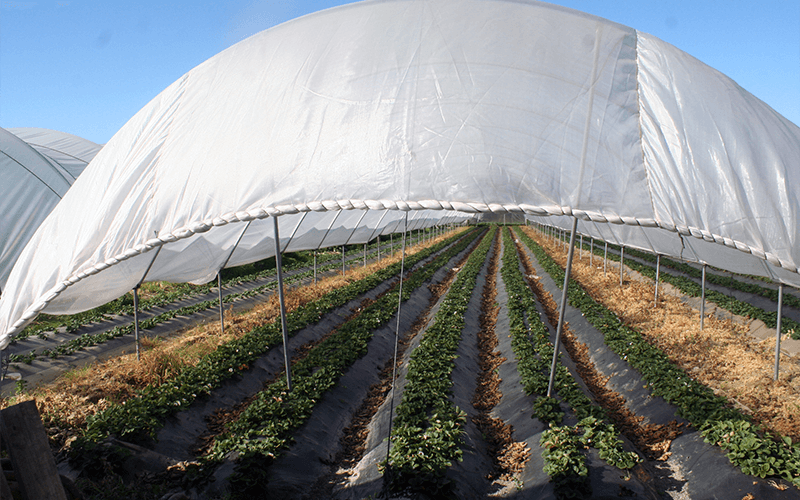 We have at your disposal three different type of densities, depending on the insulation level we require for the specific crop. 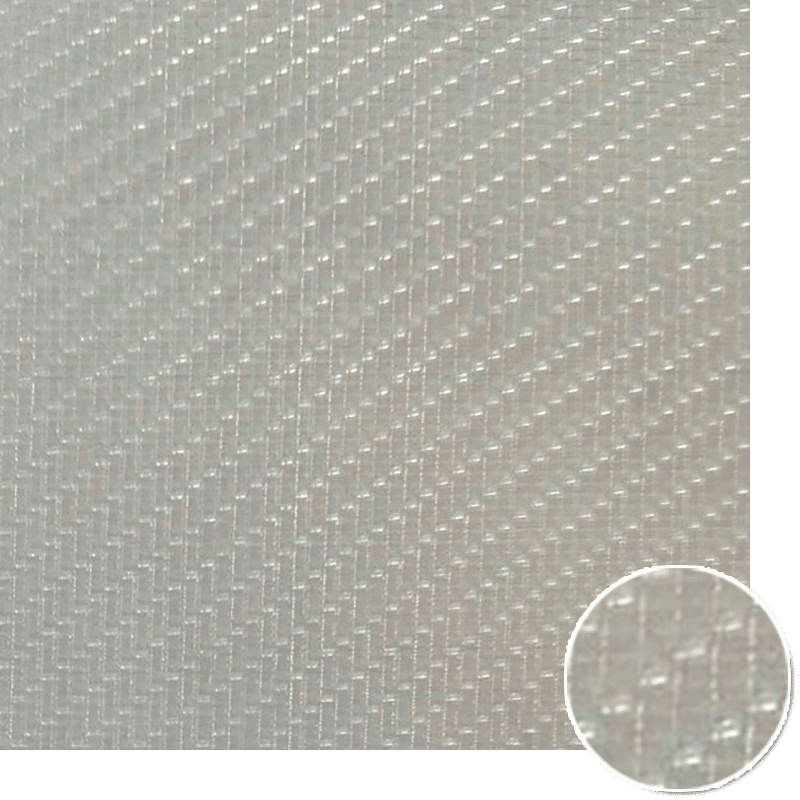 Depending on the weather conditions of the local area we would pick for the nethouse or the greenhouse certain density; from 40 to 65 mesh, including 50 mesh of course.. The pore size will be crucial. 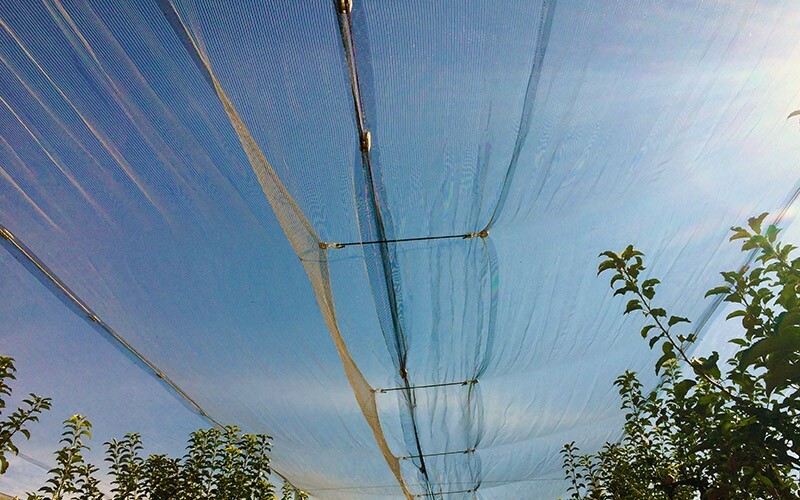 It is a type of agriculture fabric commonly used as a crop barrier, either in an open fiedl or in perimeter áreas of a fruit orchard. 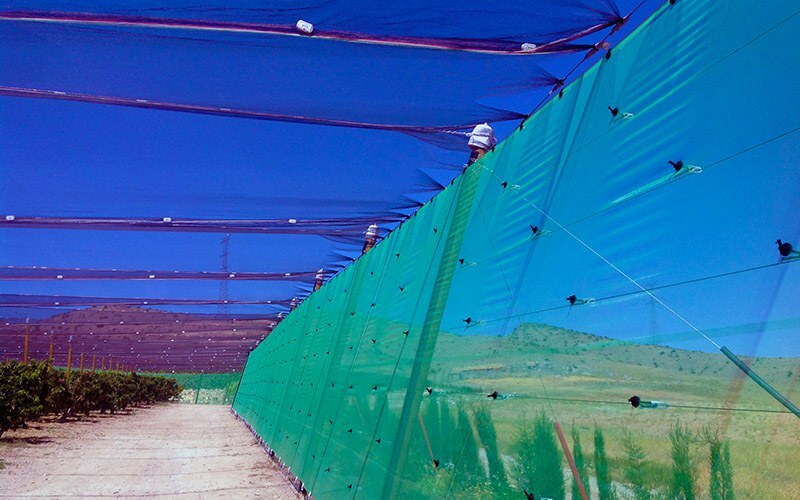 It can be used as well to preserve other type of frames and crops in local areas with strongly windy conditions. 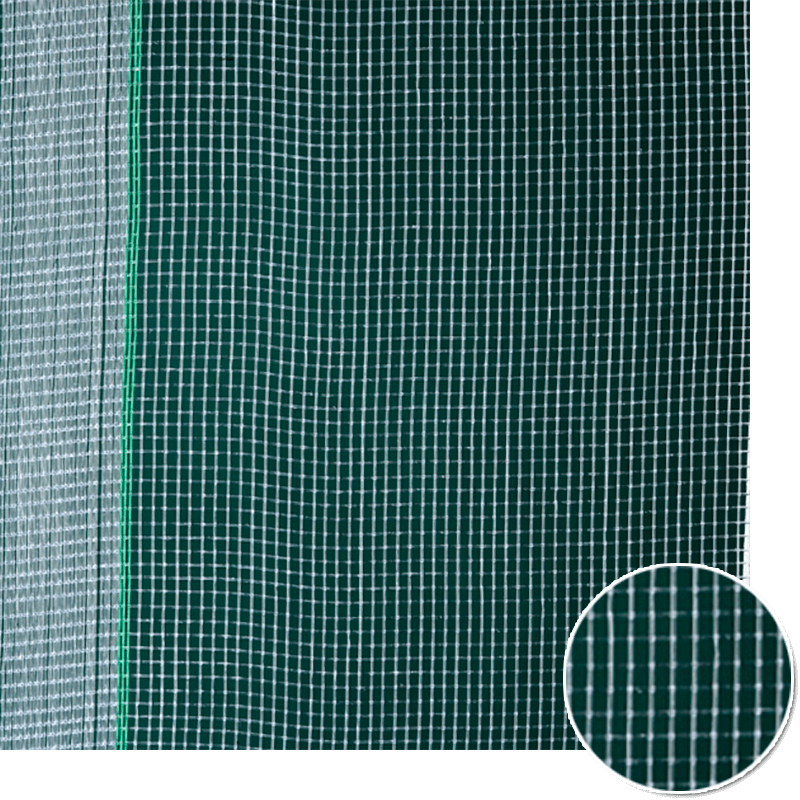 We have at your disposal three kind of netting , altough the most frequently used is the Rabitainsect 6 X6 Green, we we are located at the countryside, where the visual impact is lower. 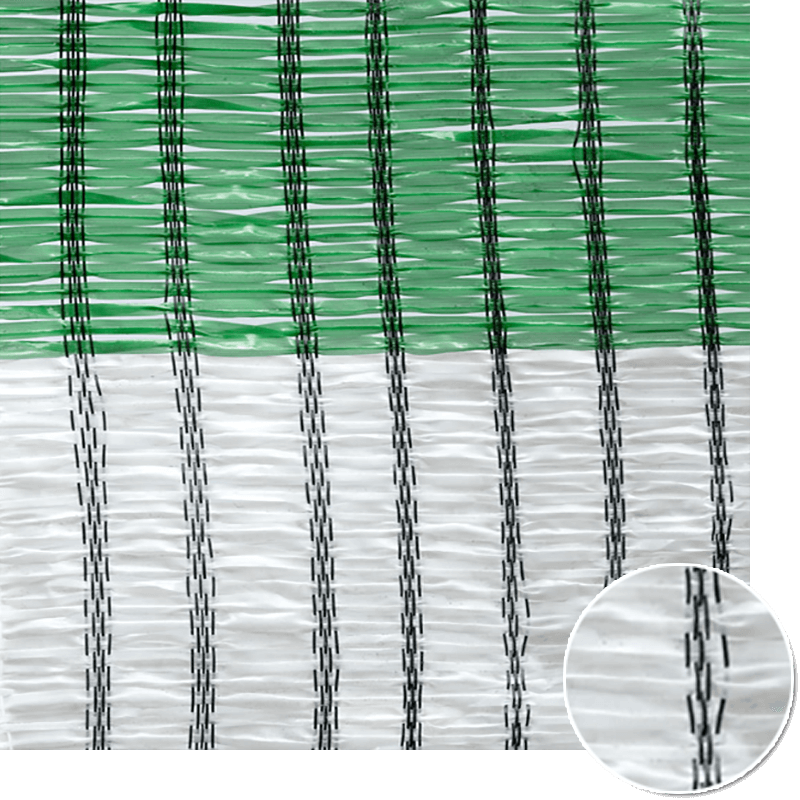 Nowadays we are studying other possibilities so that we could compete against raschel monofilament nets, getting the same results, but reducing the weight per square meter, and of course without refusing to an appropriate tearing resistance. 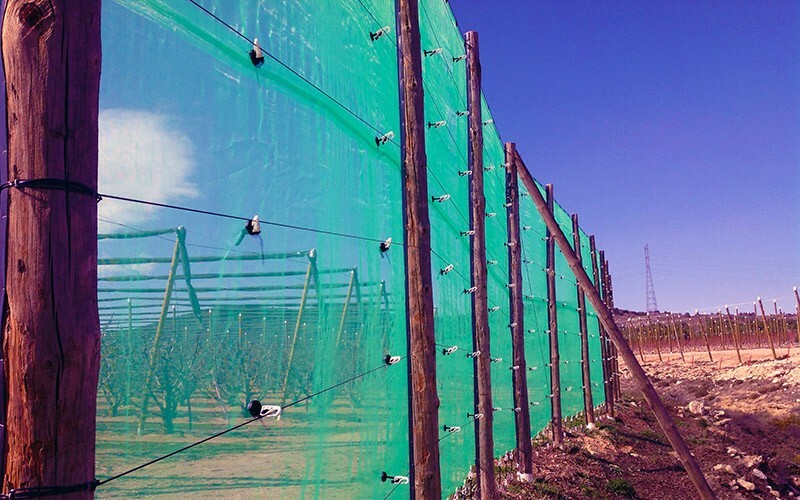 Windbreak effect from 20% (Reducción aproximada de la incidencia del viento en un 20% (under laboratory test conditions). 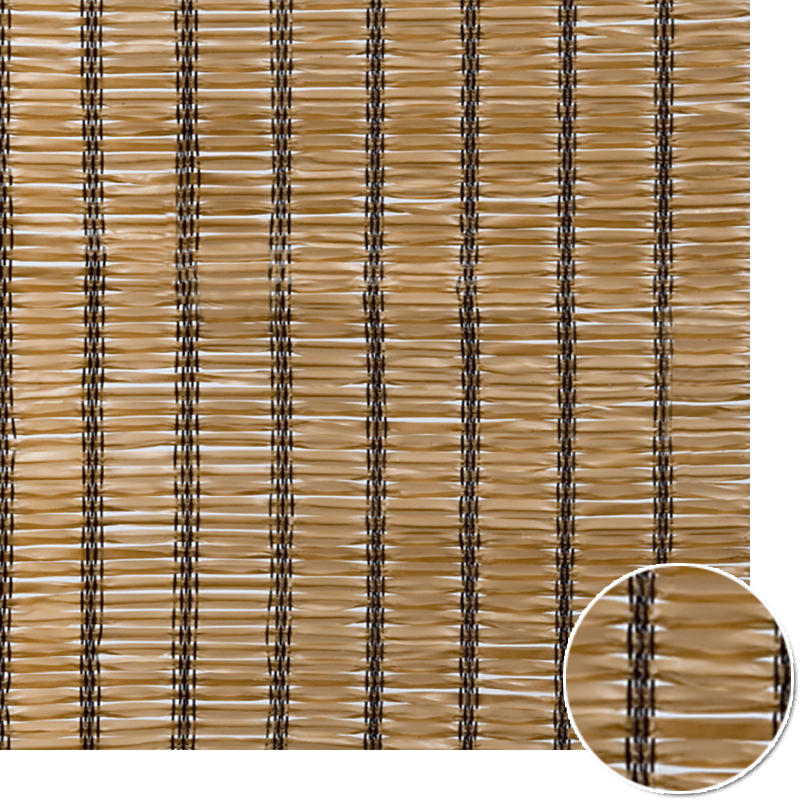 WIDTHS: Common widths from 3 to 5 meters. 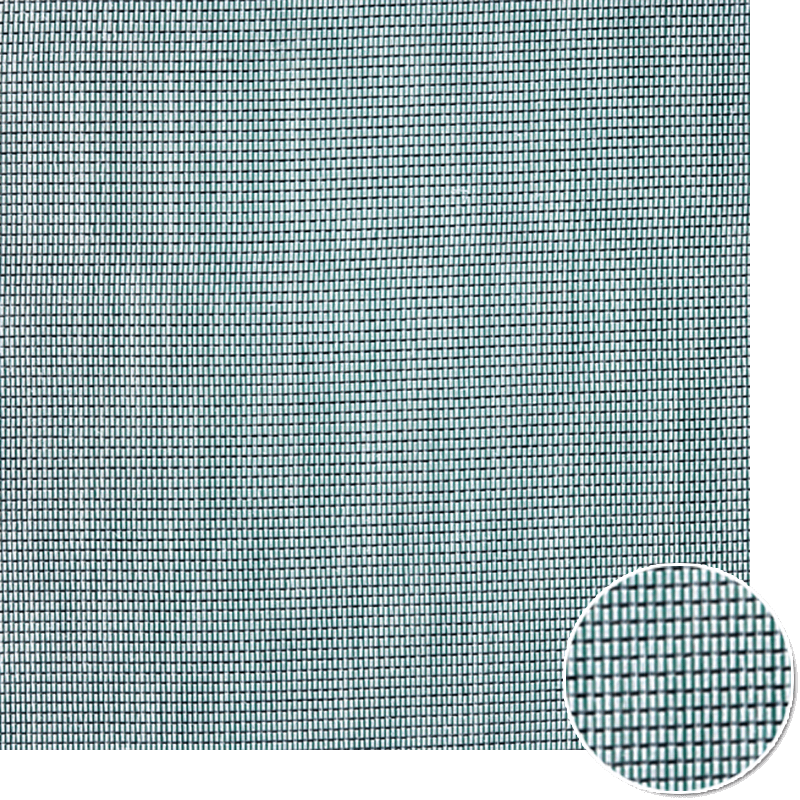 It is an agricultural fabric made up with polypropylene tapes knitted. 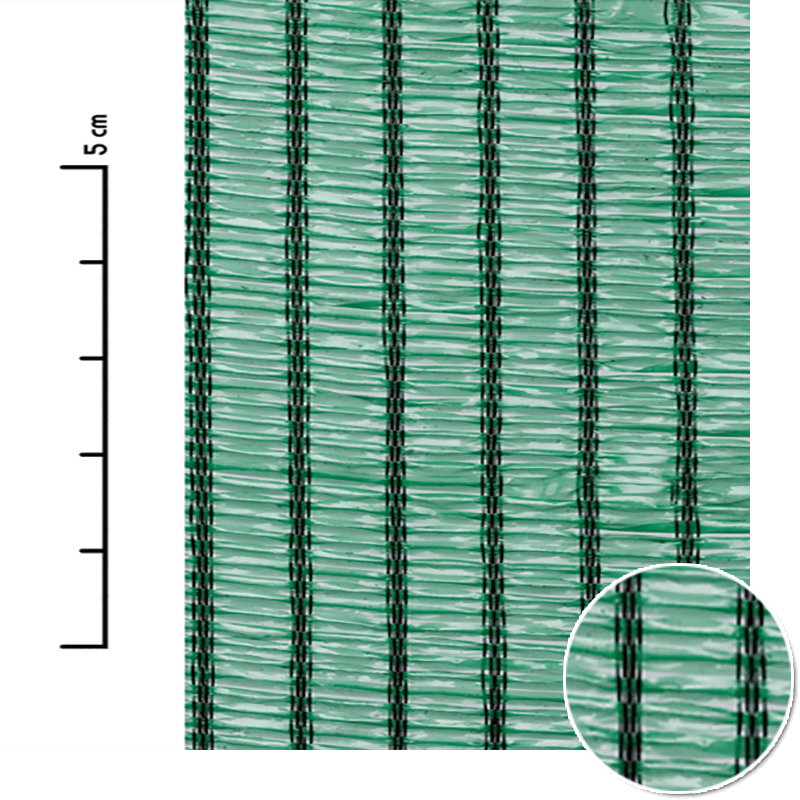 It allows its usage in an appropiate way in many different agriculture applications such as arboriculture and horticulture. 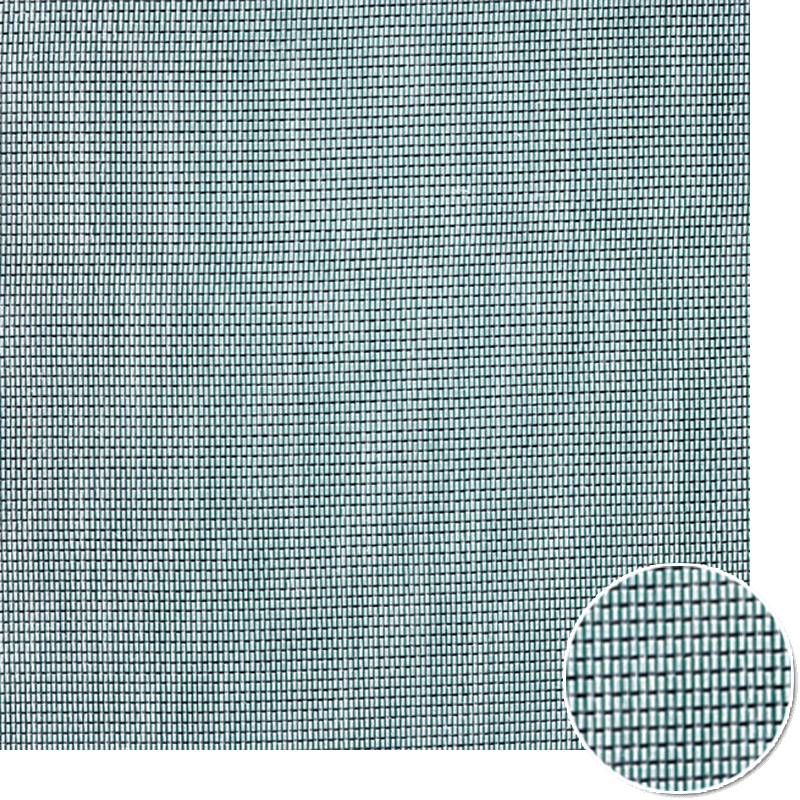 We have at your disposal two different weights: 100 g/sqm y 130 g/sqm. 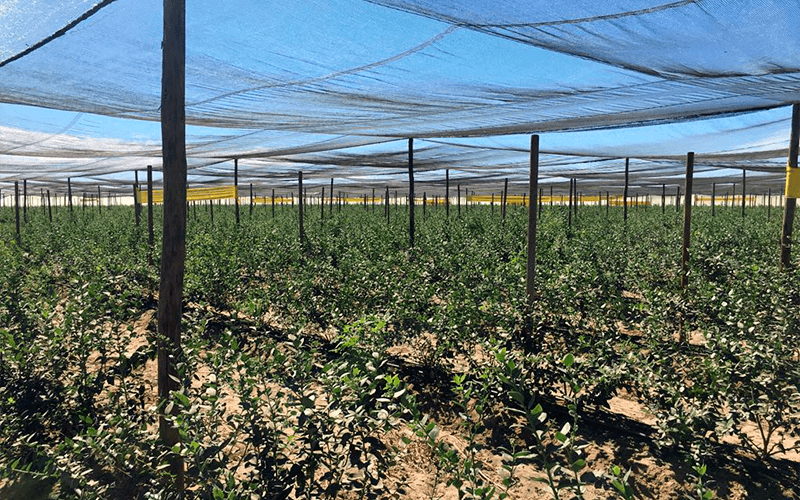 Reflective properties for the White color in fruit orchards. 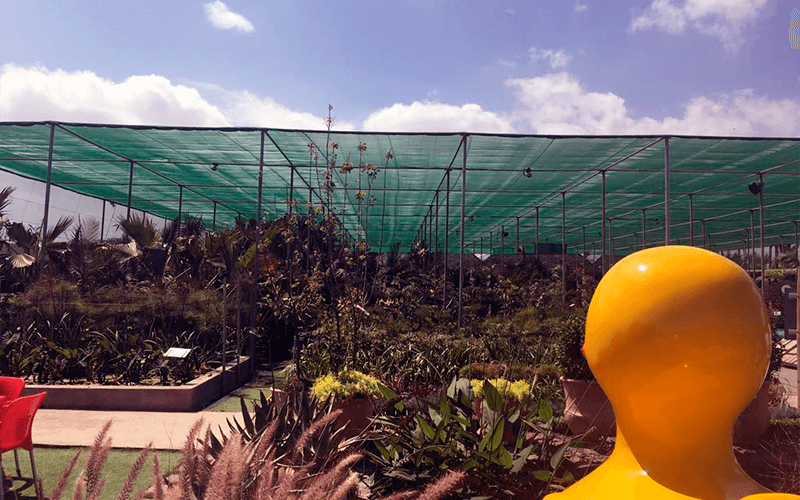 Usage for other activities such as gardening and landscaping. 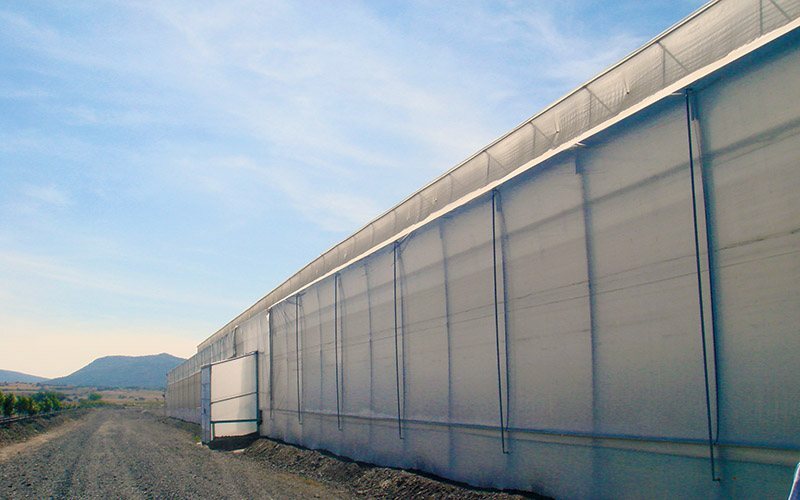 Standard rolls are 1,05-2,10- 3,30-4,20 y 5,25 meters wide. 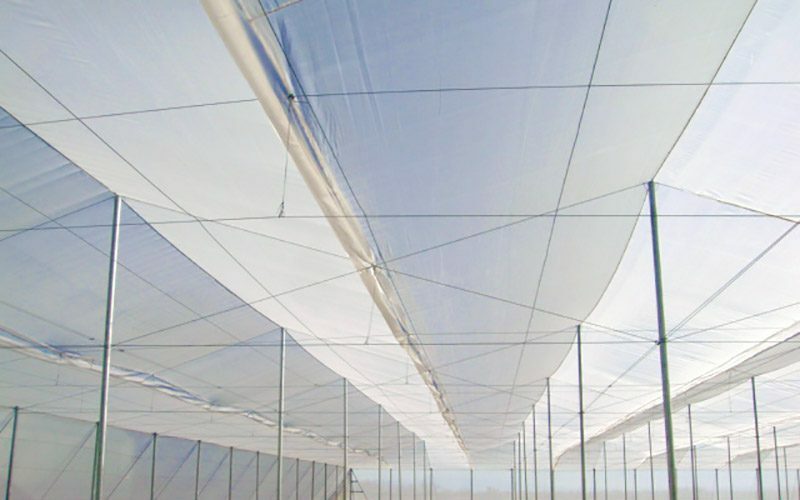 It is some special kind of fabric used as a covering system of greenhouses, mainly in local áreas with light weather conditions. 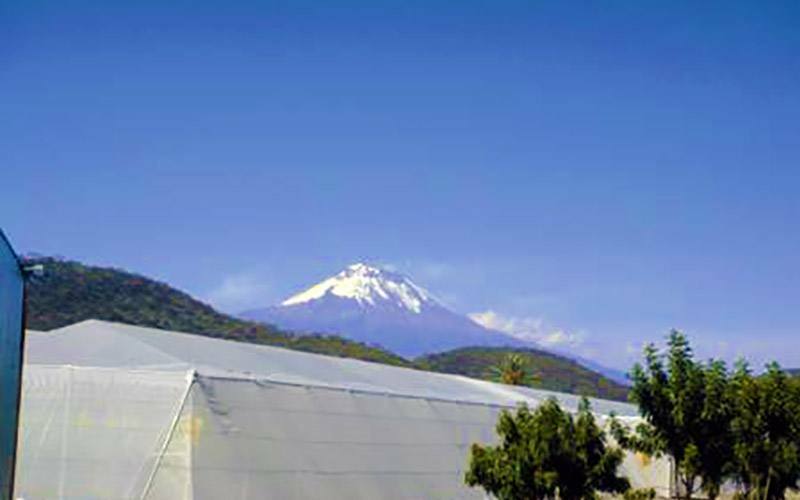 The purpose is the increase of temperaturas inside the greenhouse without refusing to transpiration. 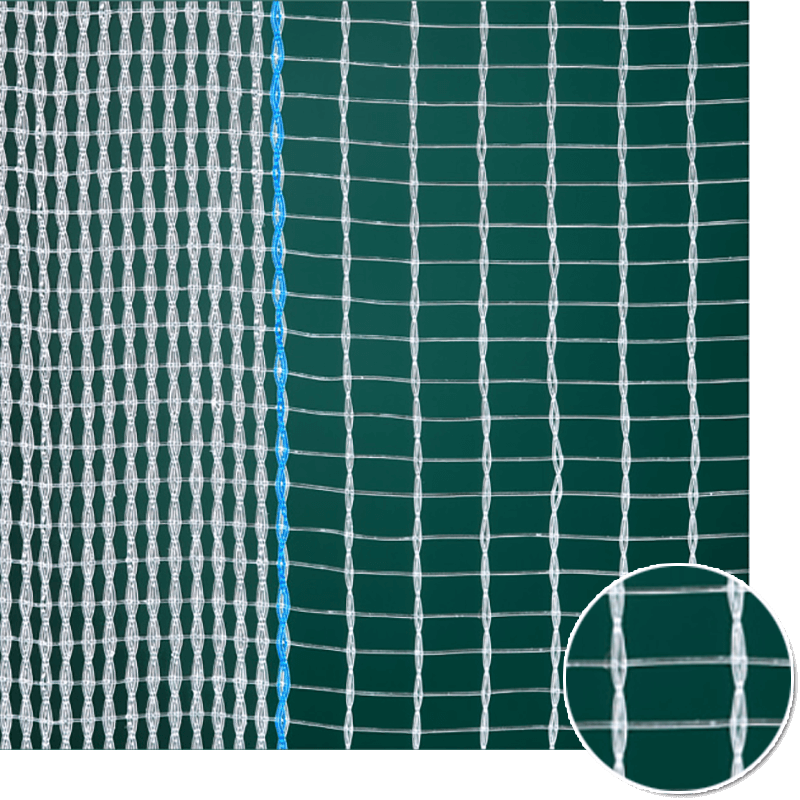 The reason to reach this goal is due to the combination of anti insect nets with cristal HDPE tapes. 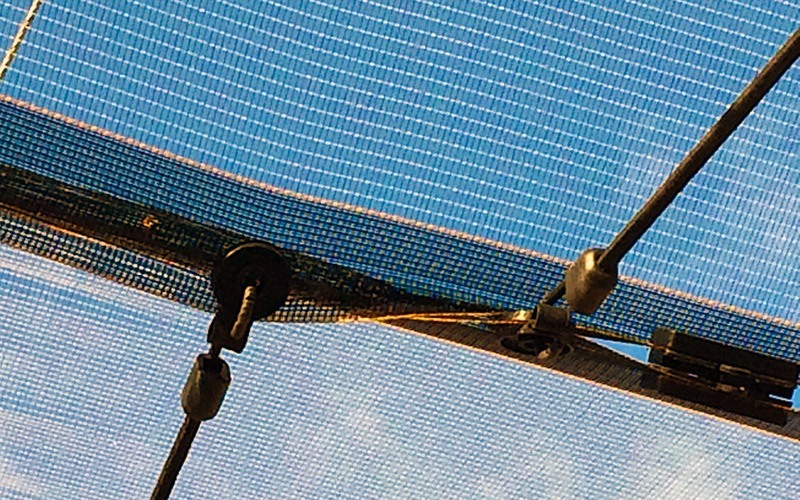 That is why we call this net “Mixed Net”. 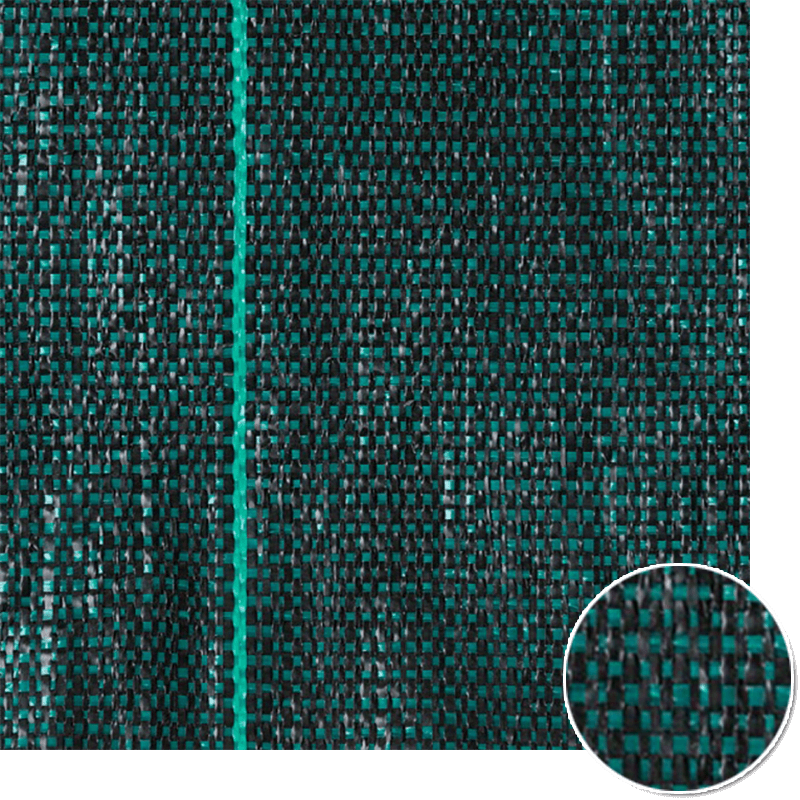 We could use as well this fabric as a covering system for polytunnels in local áreas either with light winters or with soft summers. 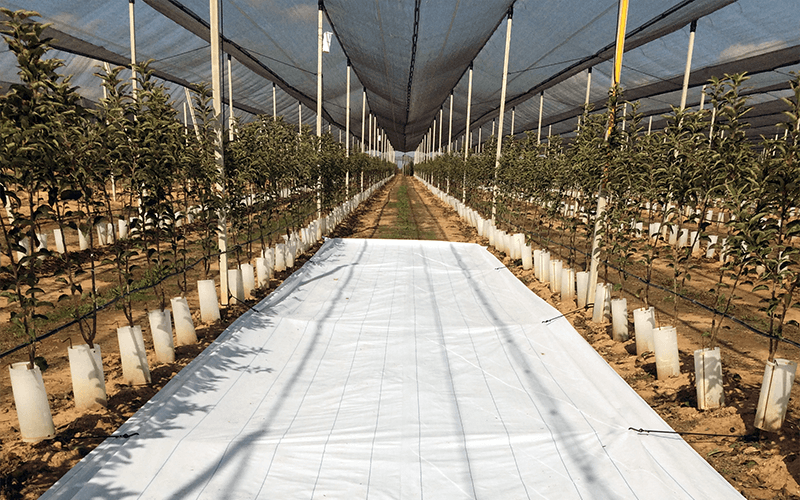 Lately it is starting to be used to cover strawberry orchards, and its possible usage to cover mangos constitutes a good alternative chance por this fabric. 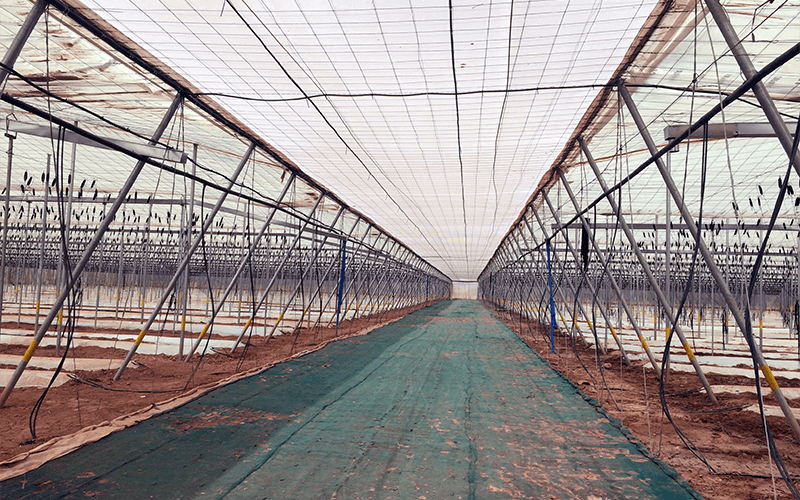 Increase of temperatures inside the “Canary Island” type greenhouse during the day, as well as inside the polytunnels. 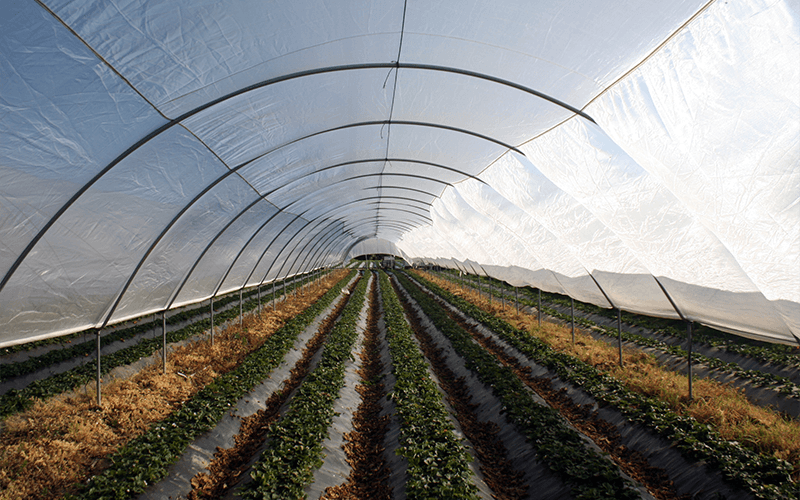 Higher durability than strecht films used to cover polytunnels or other type of frame. 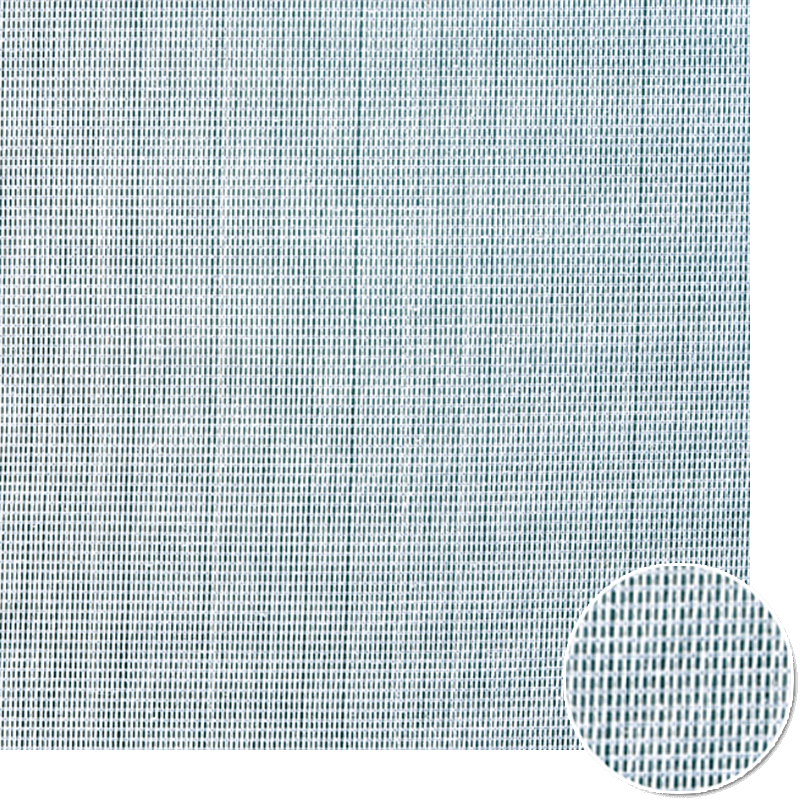 It not considered other type of color, but you may make enquiries to the Sales Department . 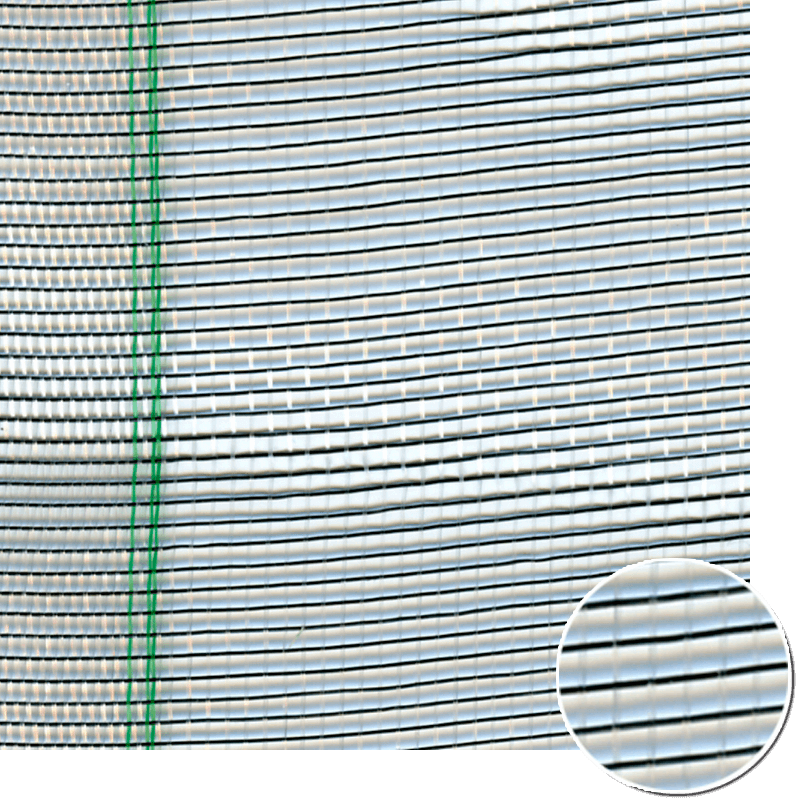 Possible availability to tailor wider rolls over 5 meters, by using an overlock machine supplied with 3 uv stabilized monofilament rolls(UV stability 720 Kly . 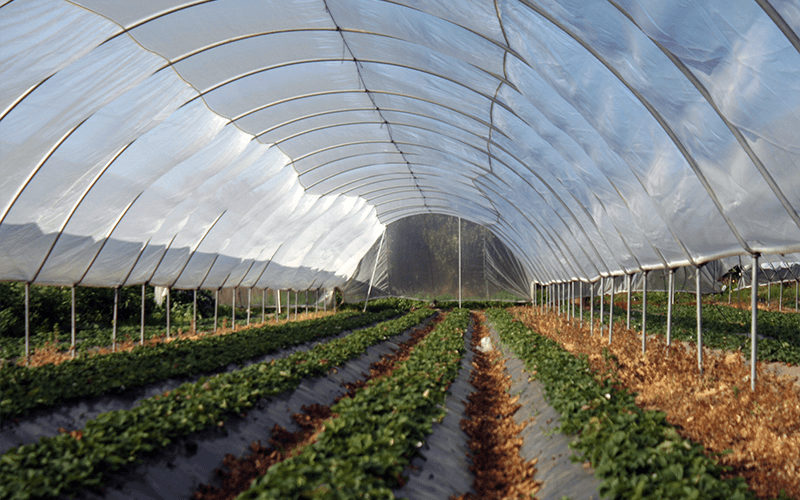 Easily adaptable to to the length of the archs of polytunnels. 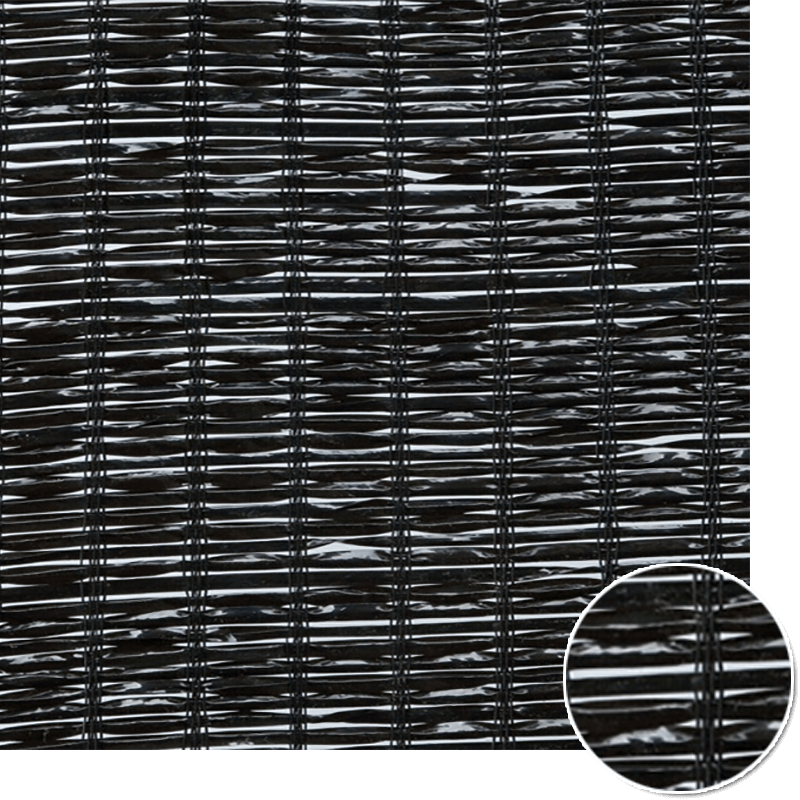 It is a fabric ideally designed to provide shading to all the different horticulture crops, as well as for ornamental plants in garden centers or nurseries. 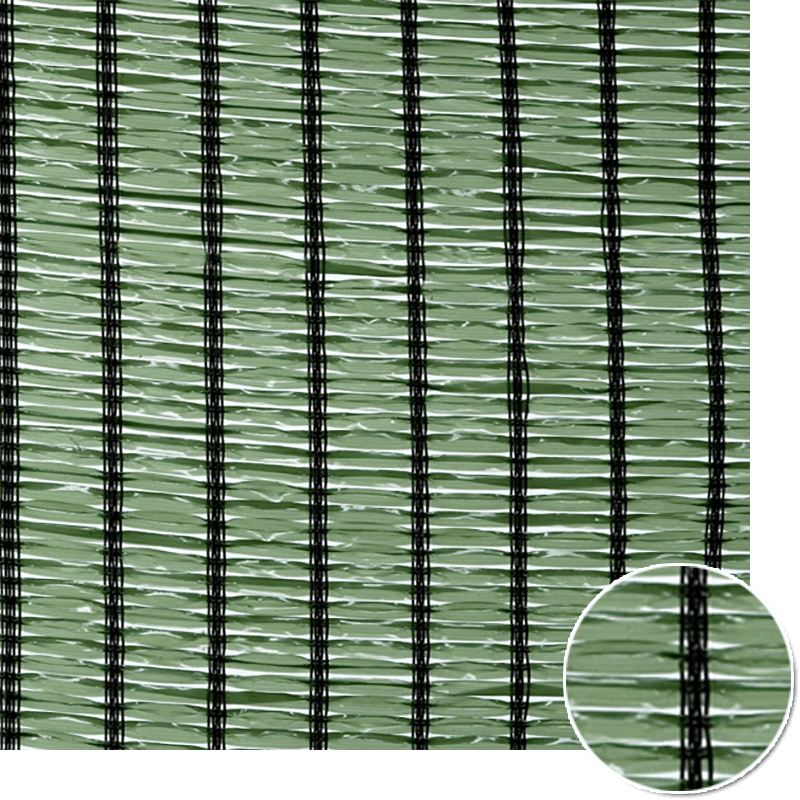 This fabric is made up with HDPE monofilament in the warp and HDPE raffia tape on the weft. 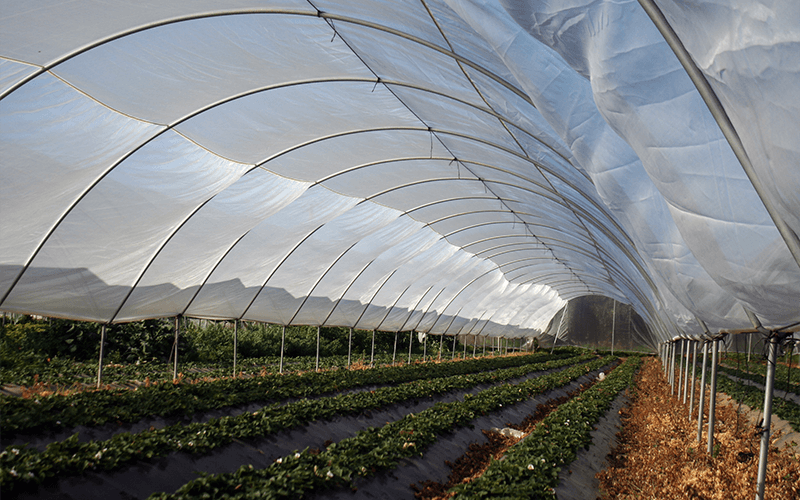 It is very common as a covering fabric to grow berries in polytunnels, as well as to preserve plants in nurseries. 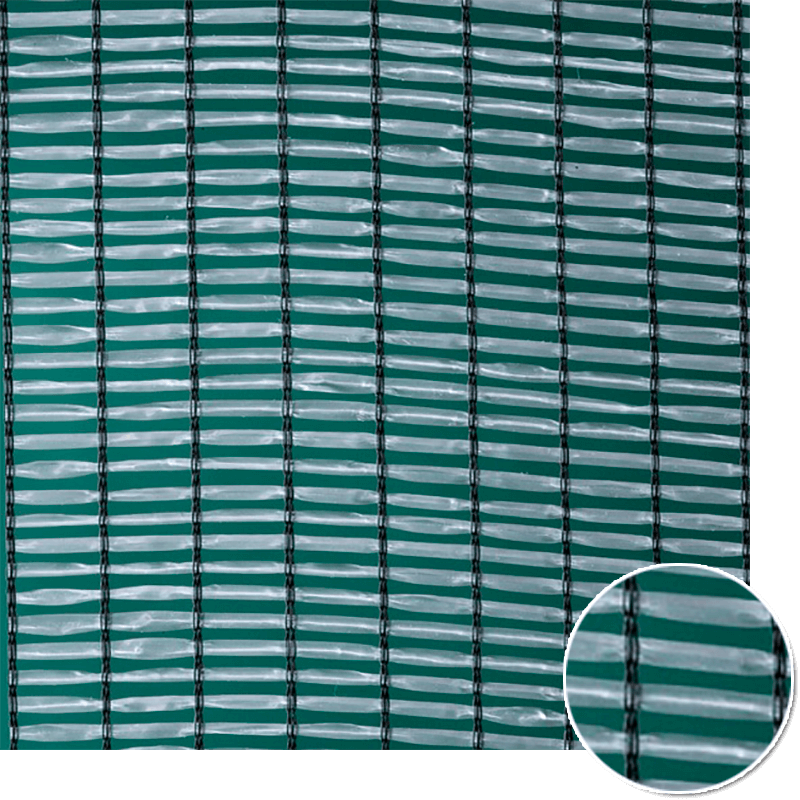 It allows the possibility to be installed as an indoors screen for greenhouses with not very exigent weather conditions. We have in our portfolio three different densities from the point of view of the construction of the fabric: 45%, 65% and 85%. 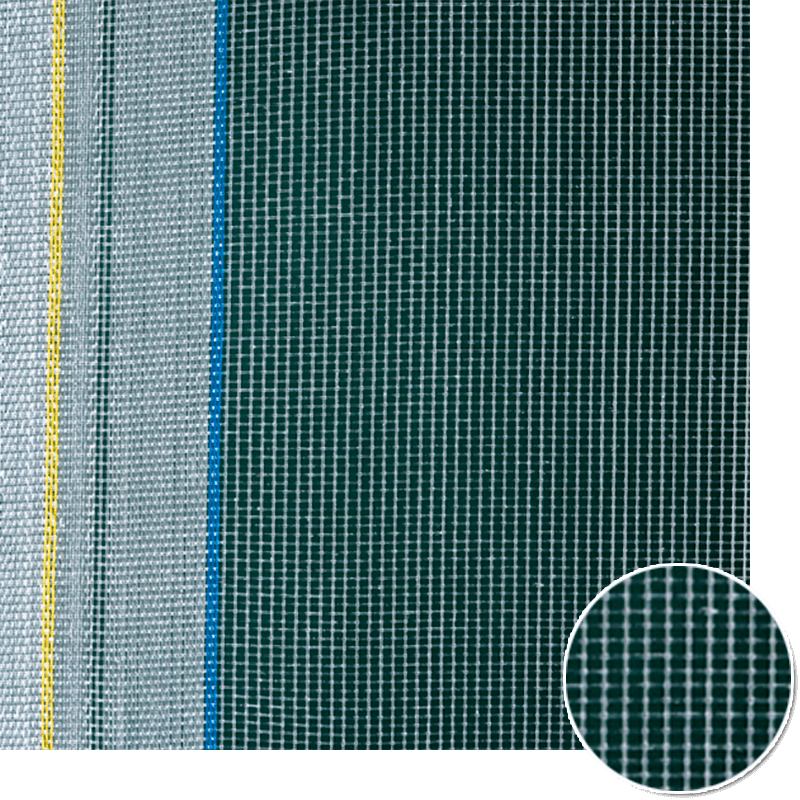 Depending on the color of the raffia tape used for the weaving of this fabric, it will provide more or less shading. 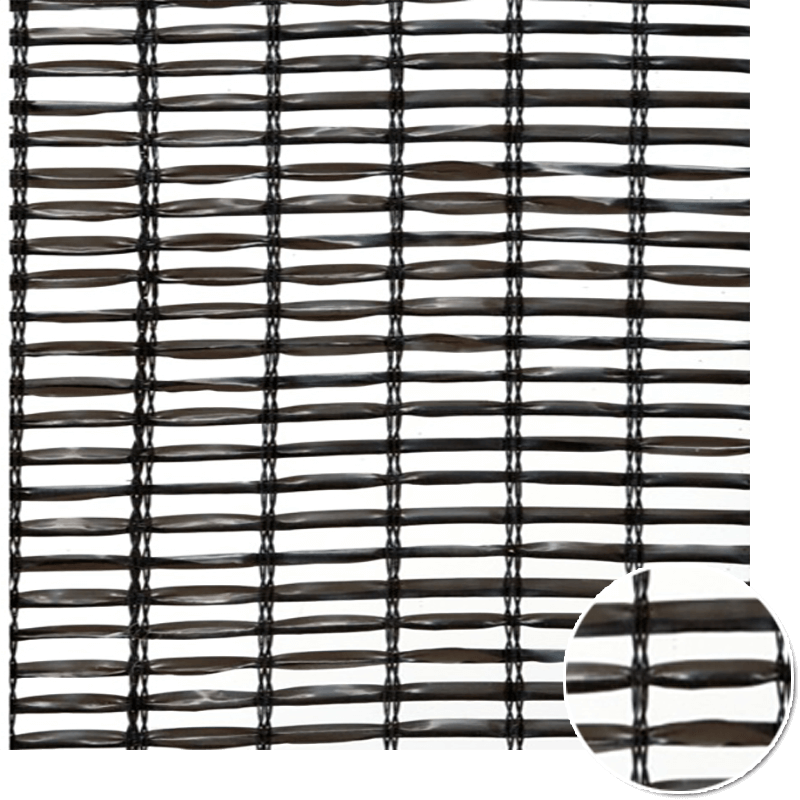 For holticulture it is more common the usage of 45% shading net. On the other hand is more common the usage of 65% for ornamental plants. White, Green, Black, Dark Green, Silver, Brown. 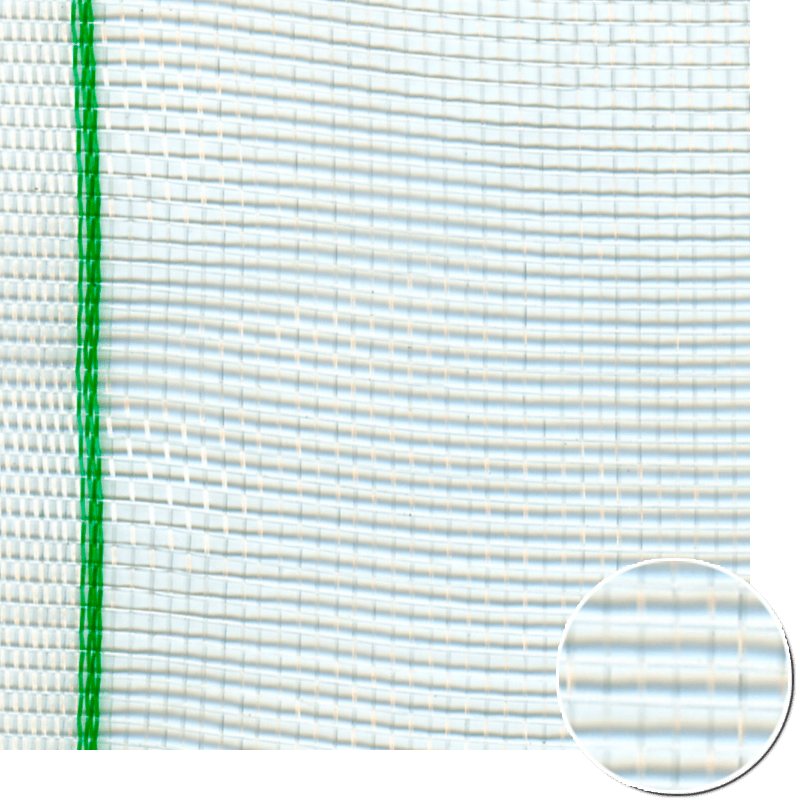 Special reinforcements displayed proportionally troughout the entire width of the roll. 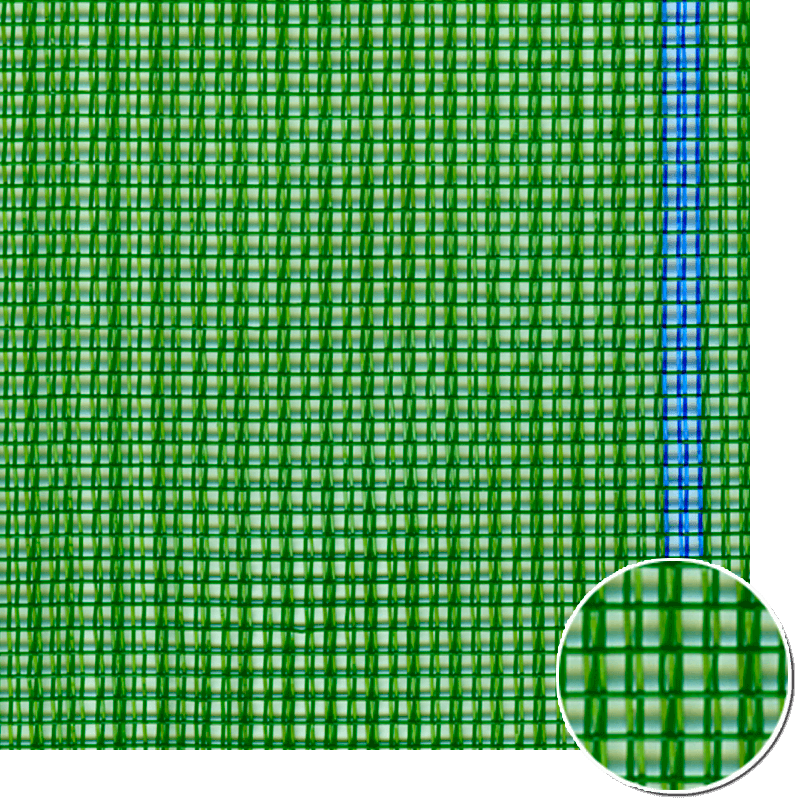 WIDTH: Standard rolls from 1 to 5 meters. 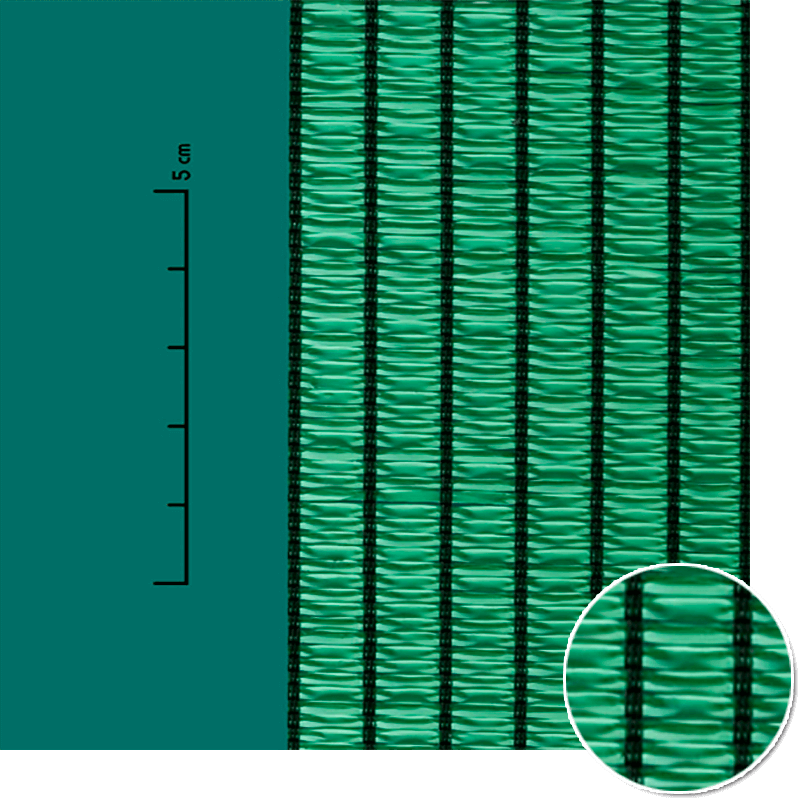 LENGTHS: 100m, 150m… (Other lengths under request). 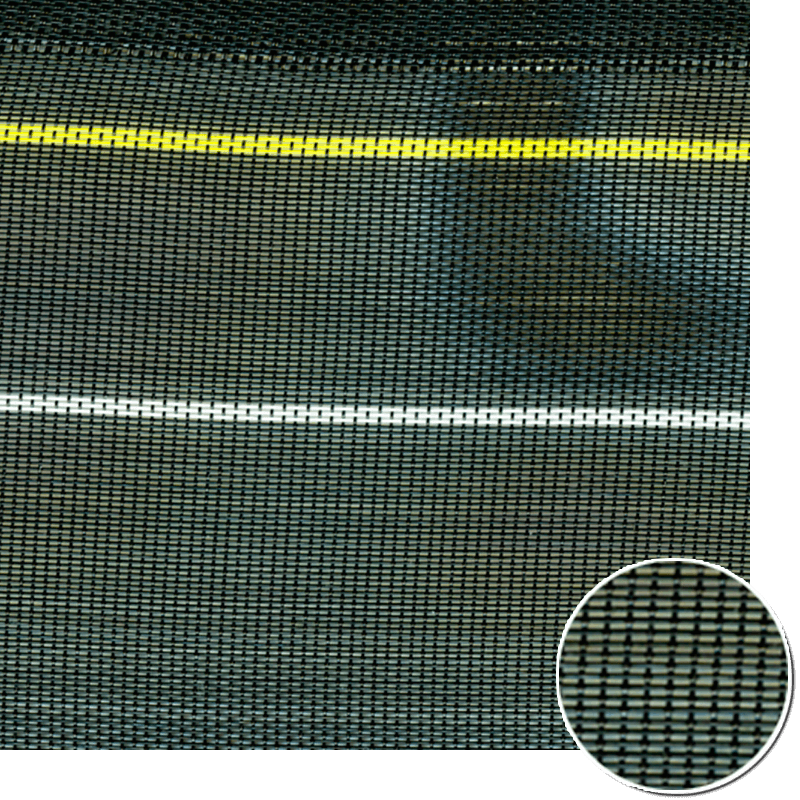 Possible availability to tailor wider rolls, over 5 meters, by using an overlock machine supplied with 3 uv stabilized monofilament rolls(UV stability> 720 Kly). 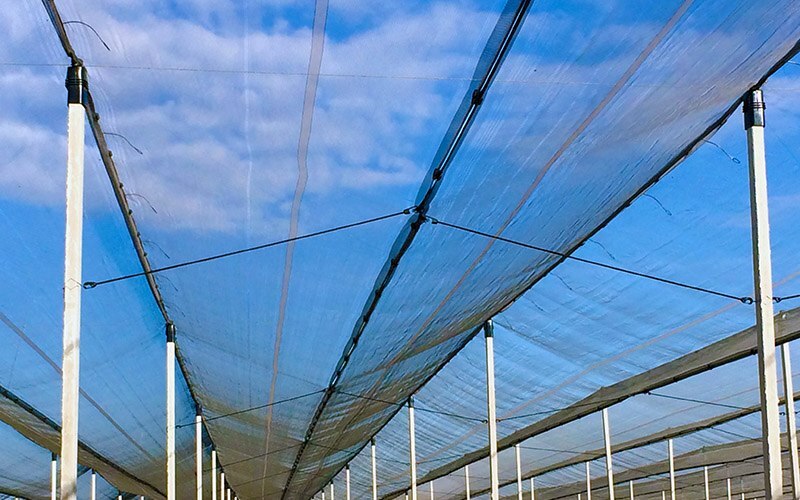 Possibility to tailor pieces 5,50 meters wide so that this product could fit to automatic screens of Hight Tech greenhouses. 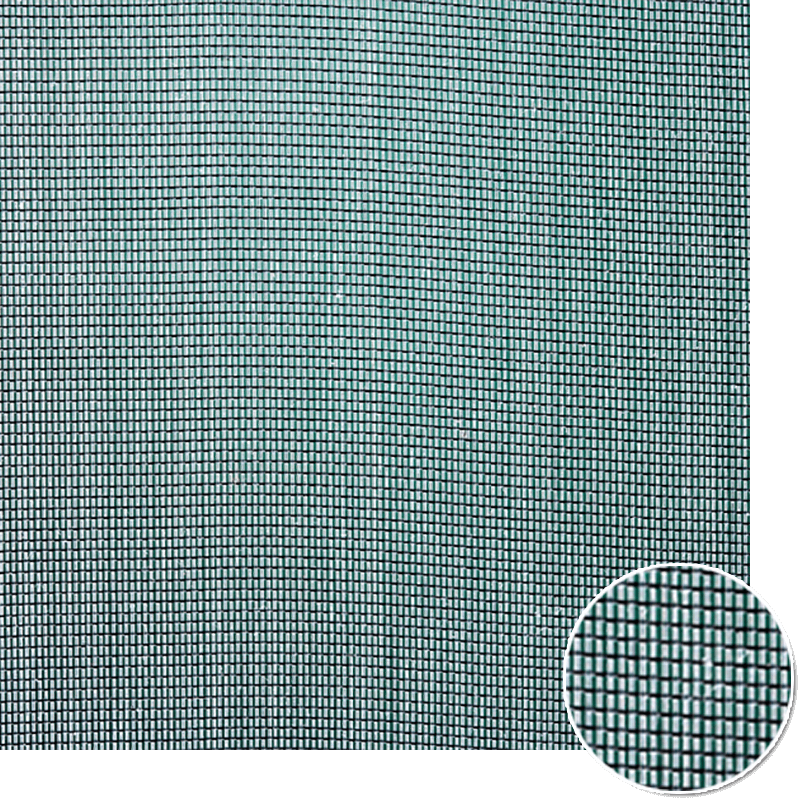 Malla de sombreo, malla de sombraje, sarán, shading nets, shade net, shade cloth, shading fabric. 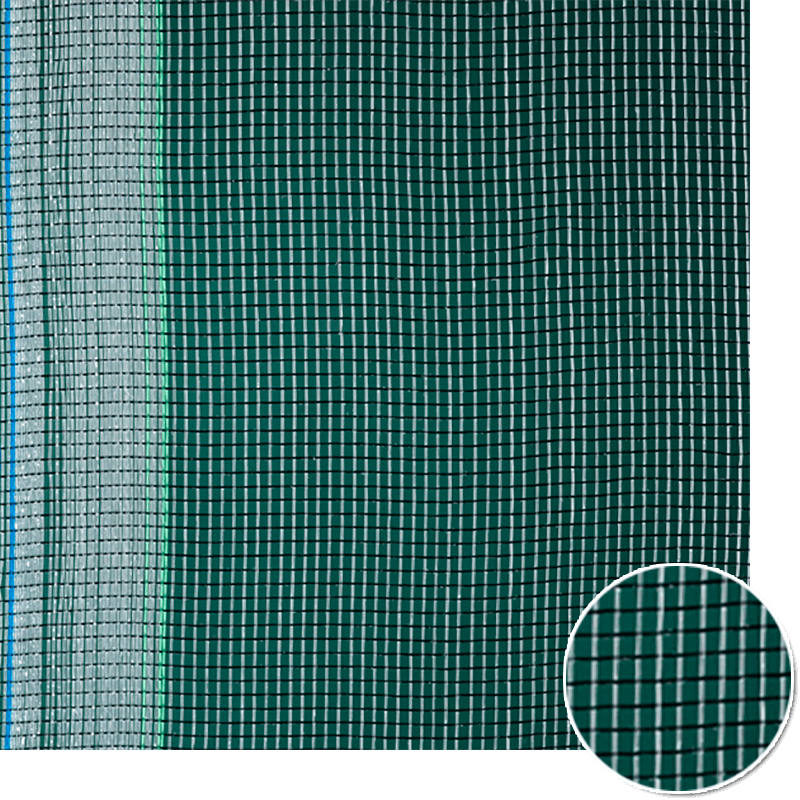 tejido de gasa de vuelta, Knitted fabric agricola. 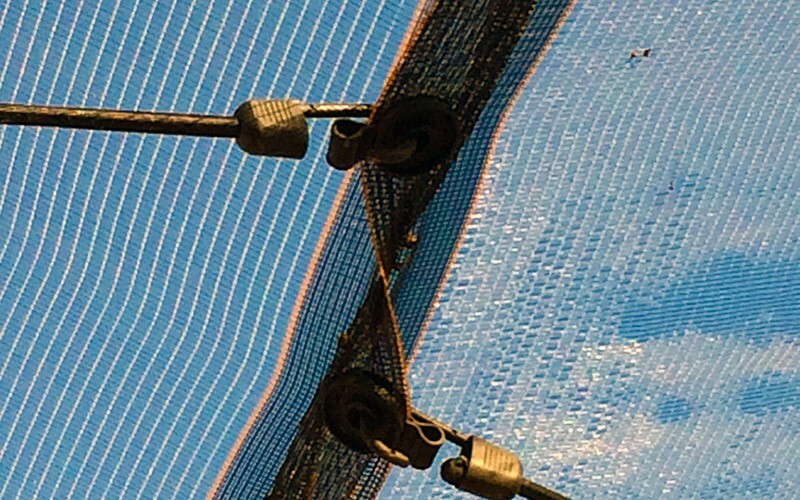 Fardo de aceituna, reti per raccolta, borrassa, falling fruit harvesting net. 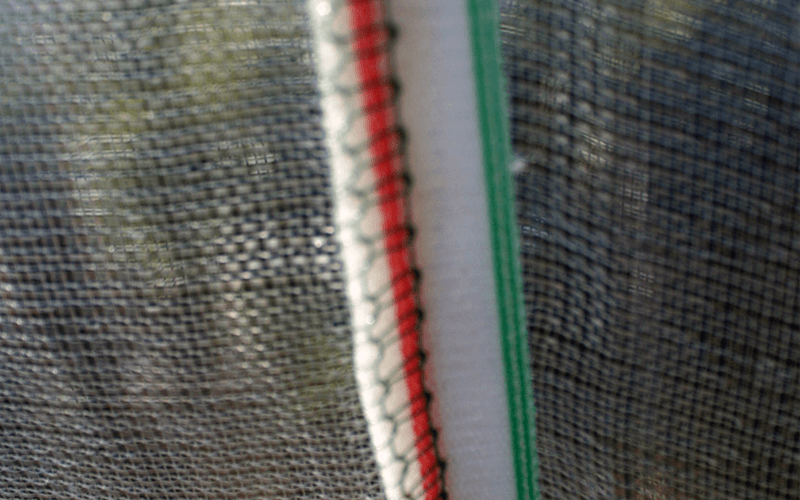 When the olive harvesting season approaches it becomes necessary the usage of Olive Harvesting nets. (traditional way). 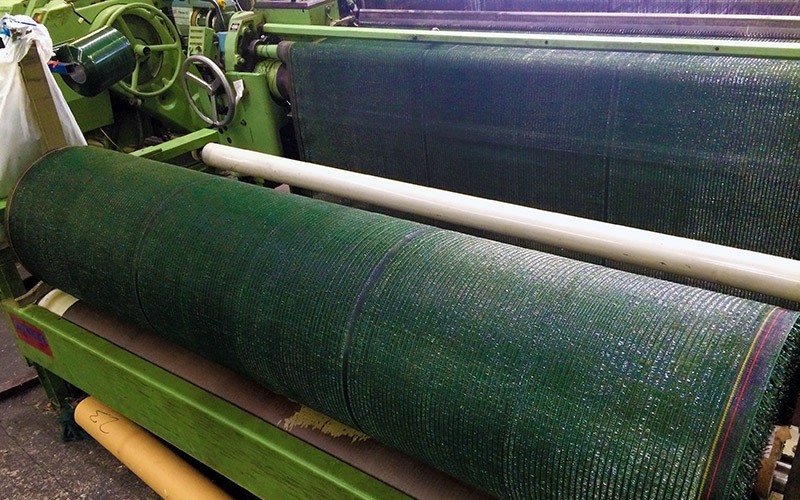 The origin of RABITA AGROTEXTIL comes from the design, manufacturing and tailoring of olive harvesting nets. Traditional olives harvesting system, either for table olives or olives whose final destination is a mil. 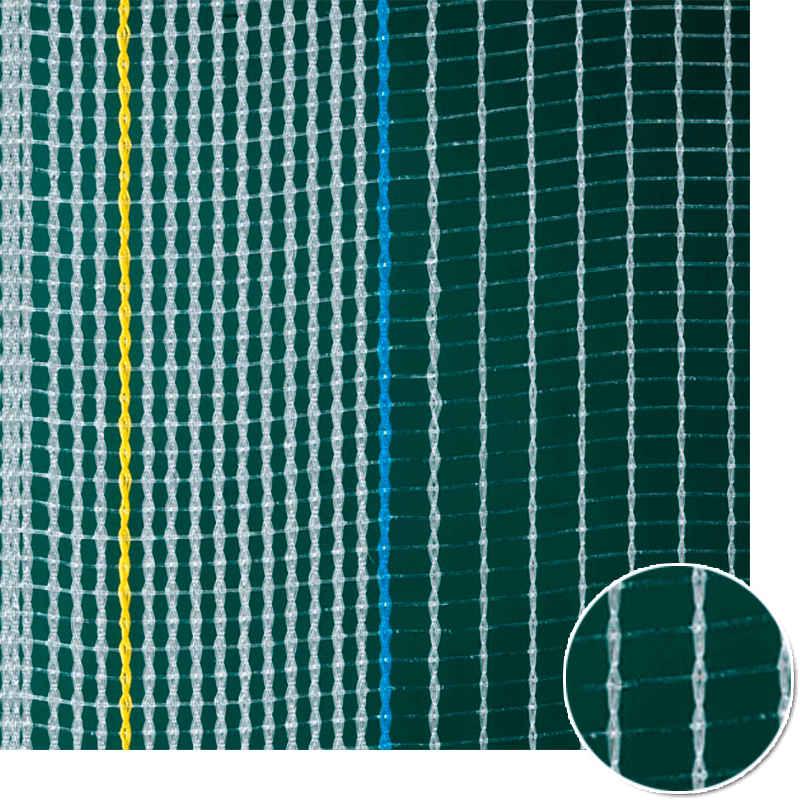 Harvesting nets tailored with strong sewing unions to ease the harvesting process. 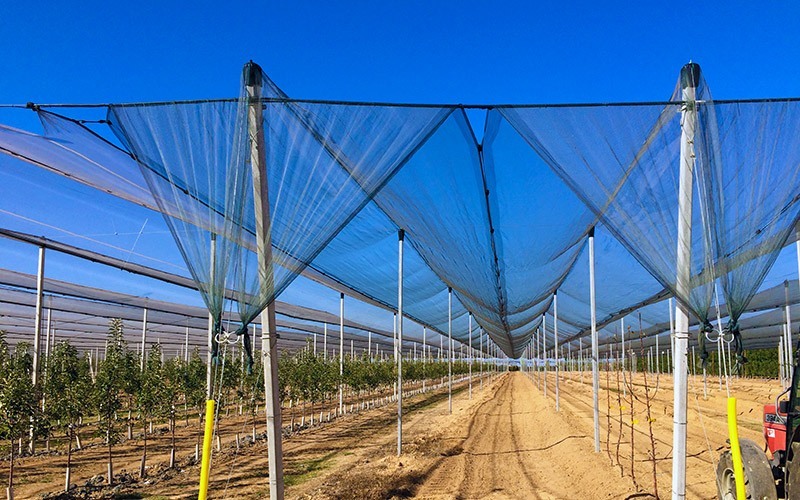 This type of net is used as well to harvest almonds, nuts and chestnuts among others. 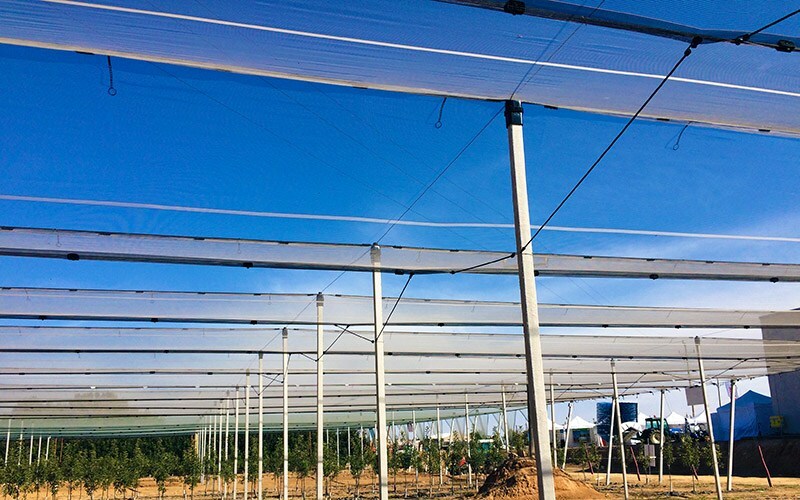 Positioning on the floor for natural drying processes underneath the sun for fruits such as plums, apricots, figs and tomatoes among others. 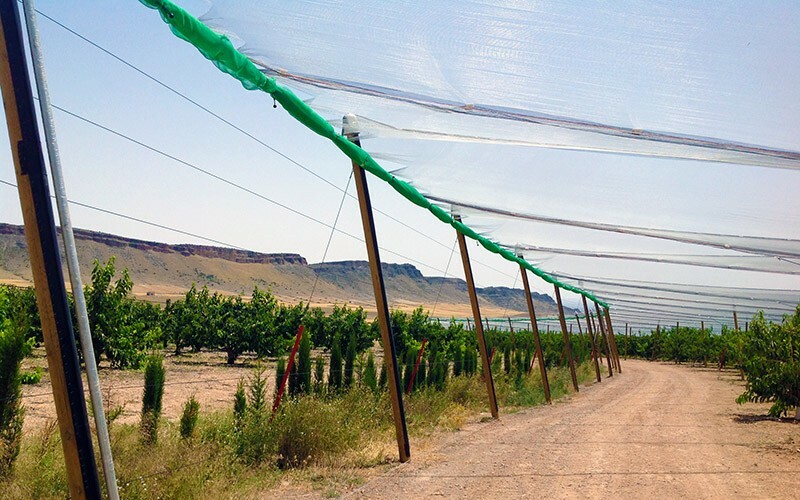 It constitutes a system to arrange sundrying for grapes Pedro Ximenez. 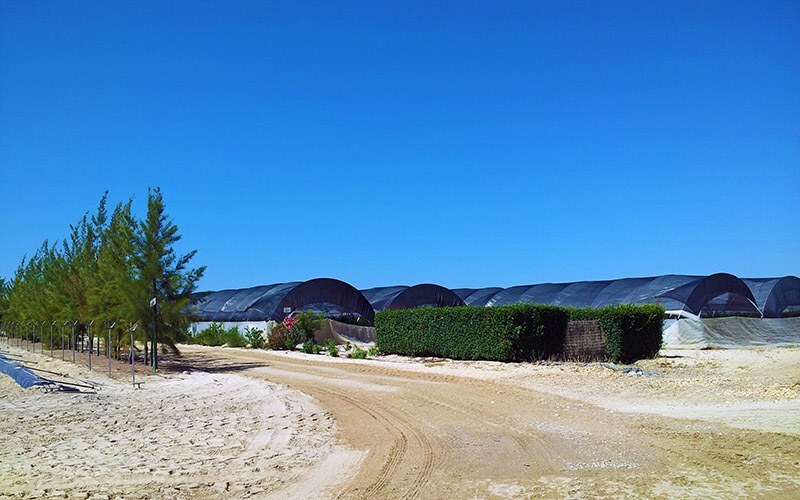 It is a previous step to produce sweet wine made up with the variety Pedro Ximenez. 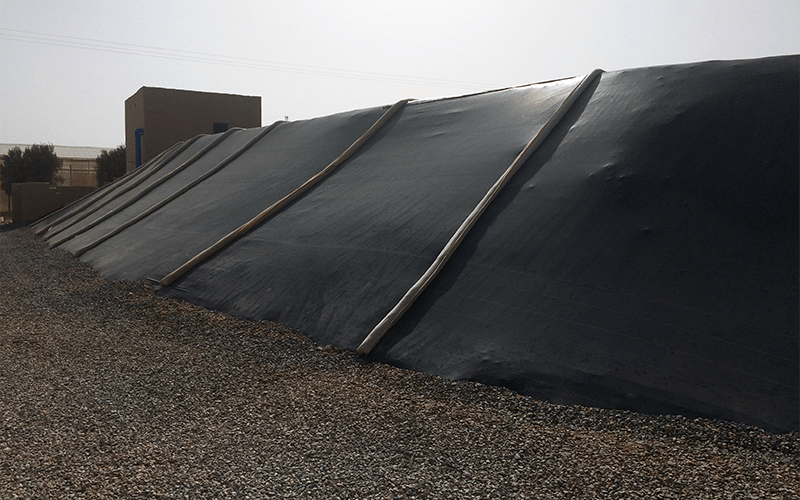 Possibility to use burla or pieces of sack cloth to e ase the loading and downloading of oil olive. 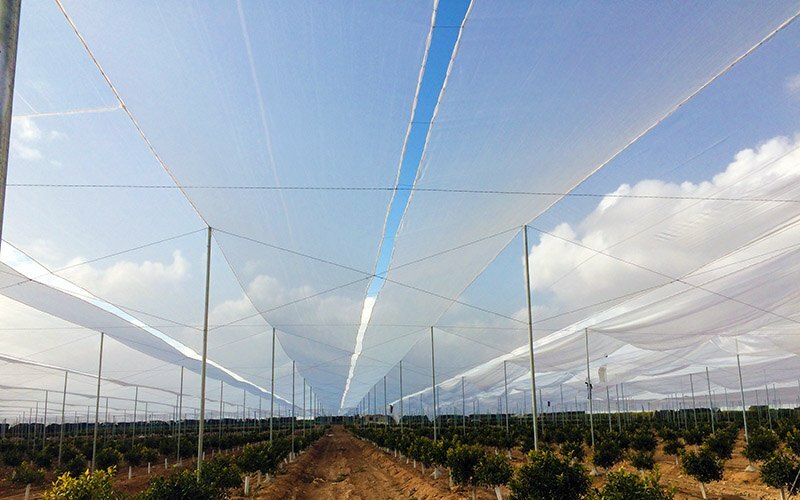 Certain companies have higher requirements to avoid the contact of the olives with the ground. 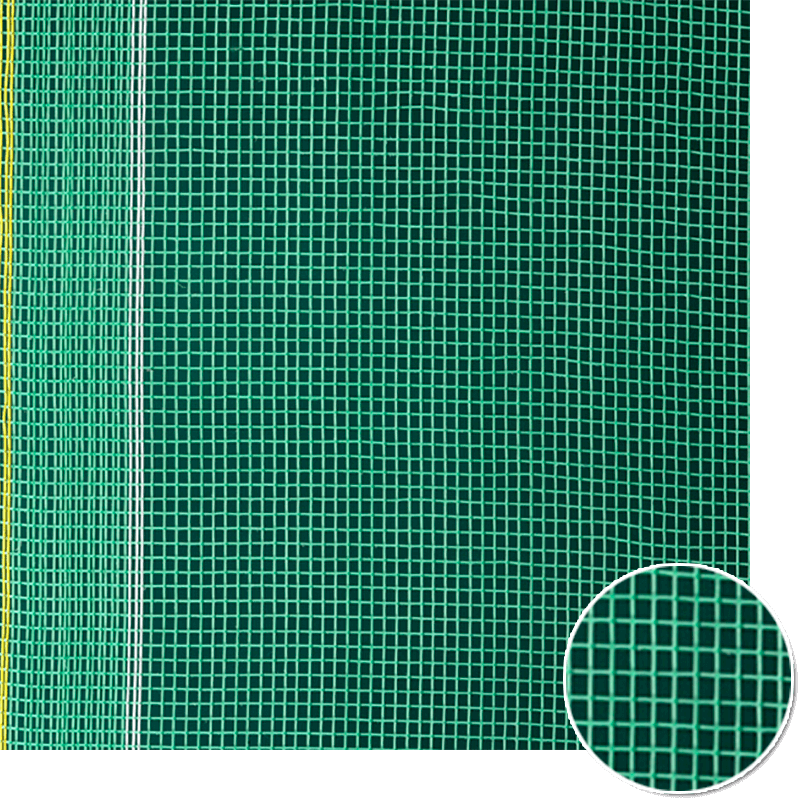 Therefore, they use harvesting nets with a higher (Rabitainsectproof 22 x 10). 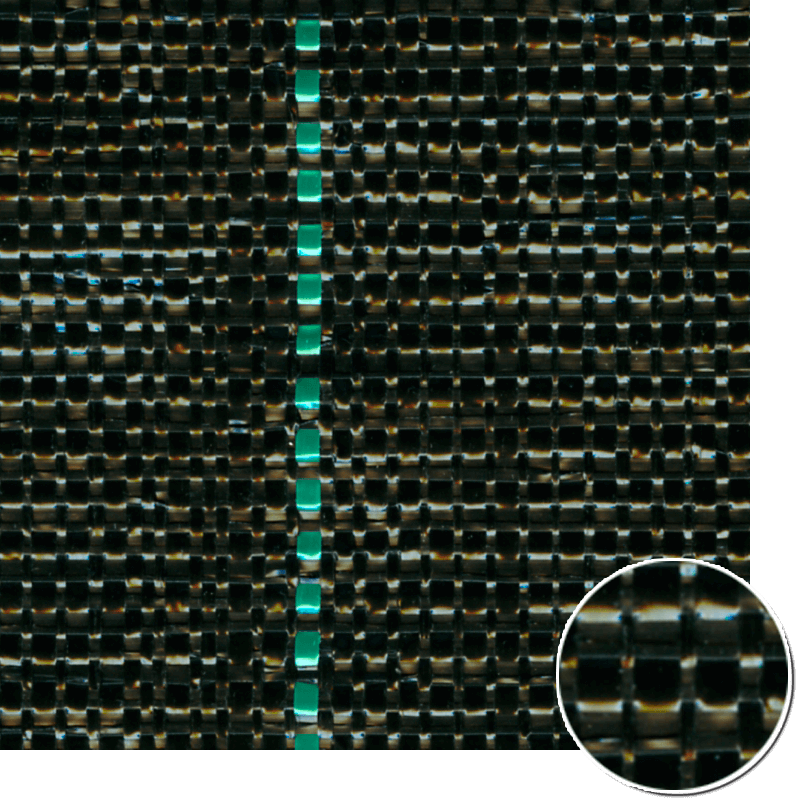 Possibility of delivery of jumbo rolls. 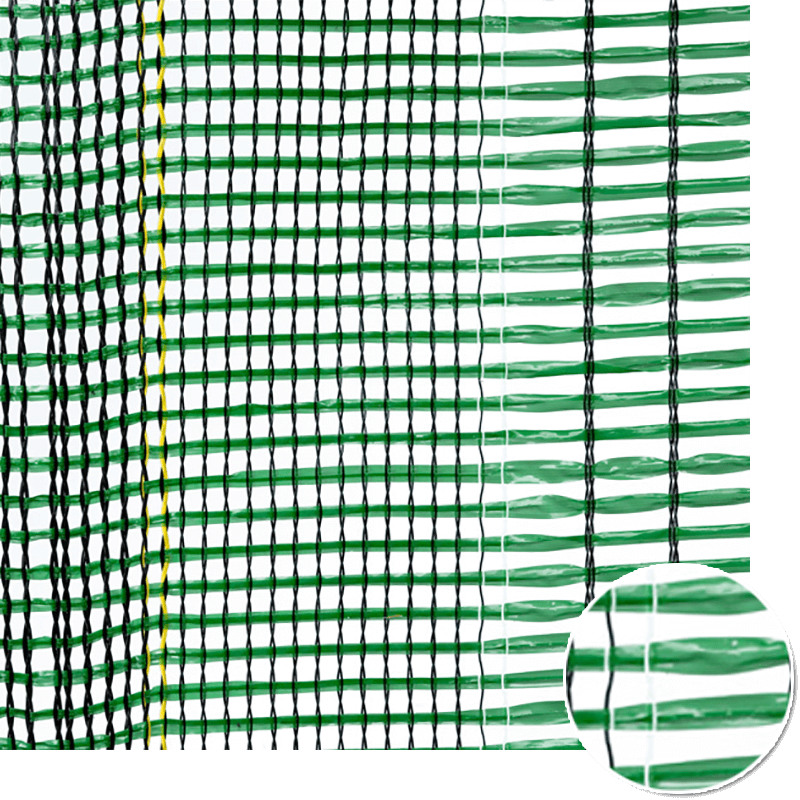 Tailoring of a wide range of different sizes; folded and strapped properly..We have at your disposal another type of harvesting net with a lower density so that it avoids the accumulation of mud. 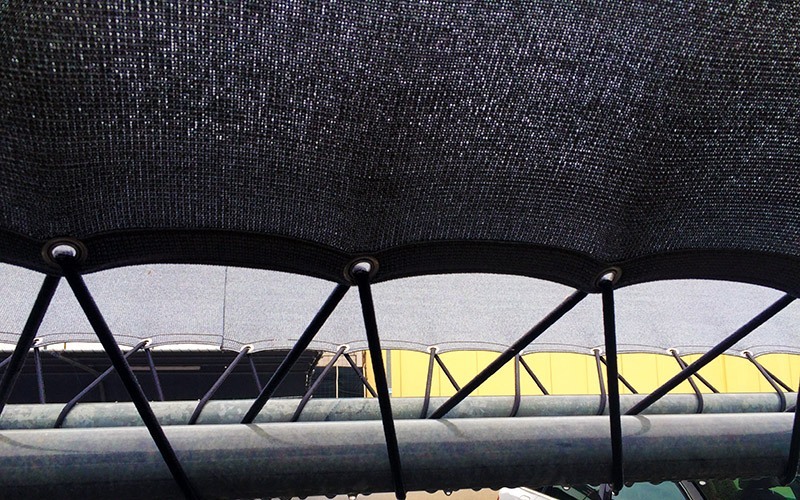 Then the harvesting net will not be heavier than necessary. 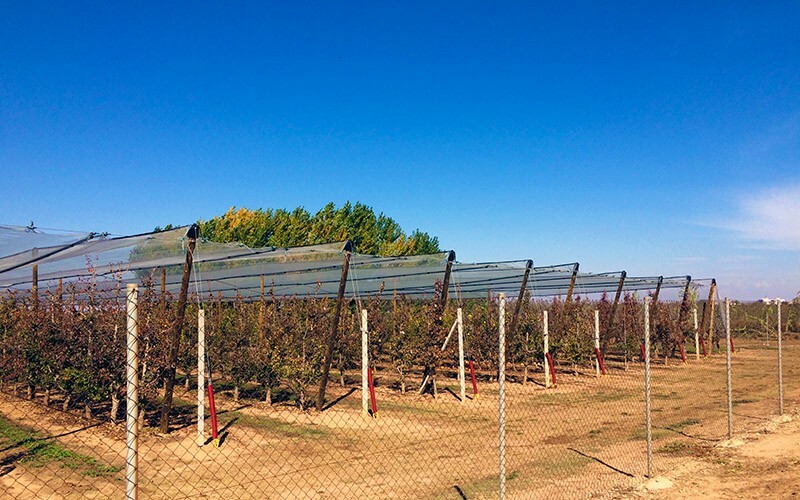 Malla aceitunera, mantos de aceituna, fardos de aceitunas, esteros de pasificación de uva, reti per raccolta,borrassa, harvesting net, falling fruit harvesting net.